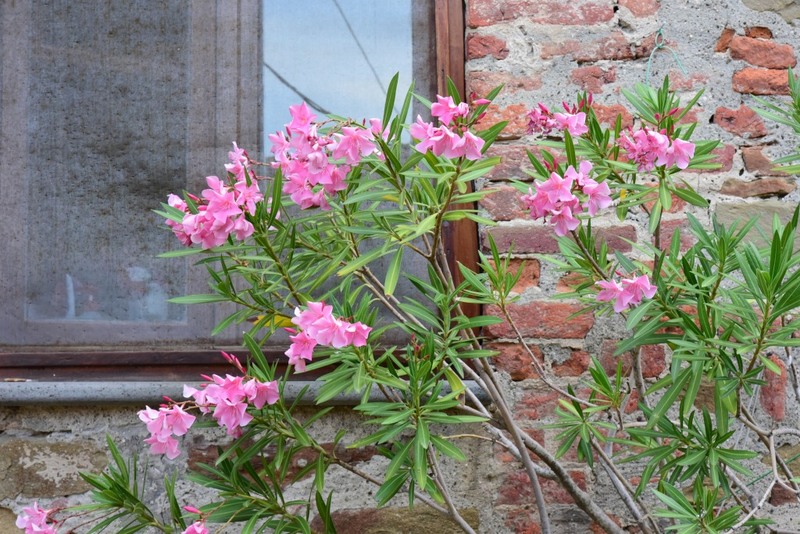 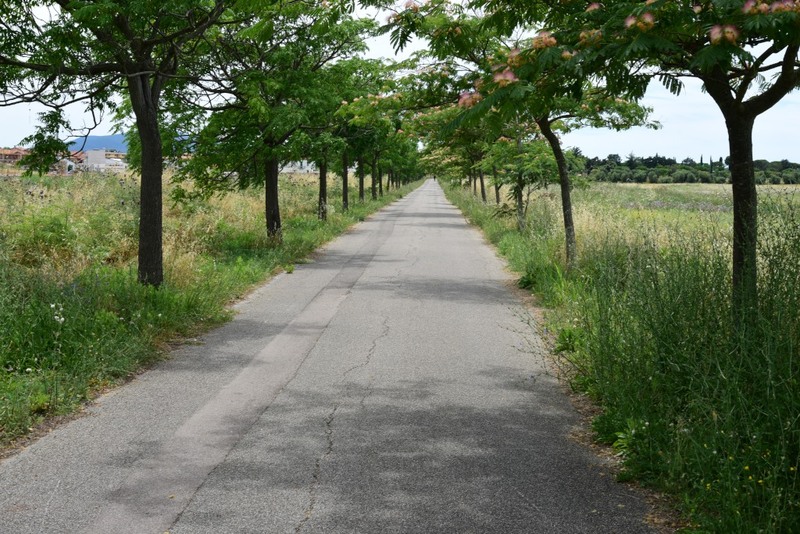 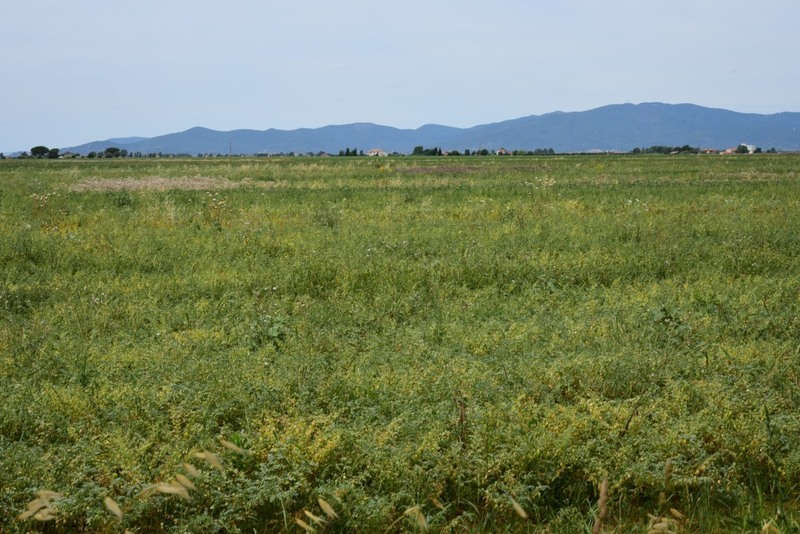 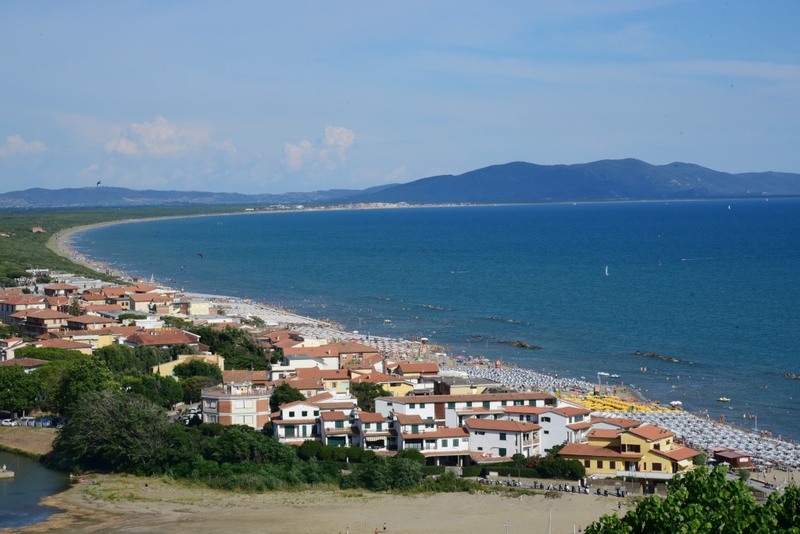 The coastal plains of the Maremma are unassuming, but nonetheless reveal some charm. 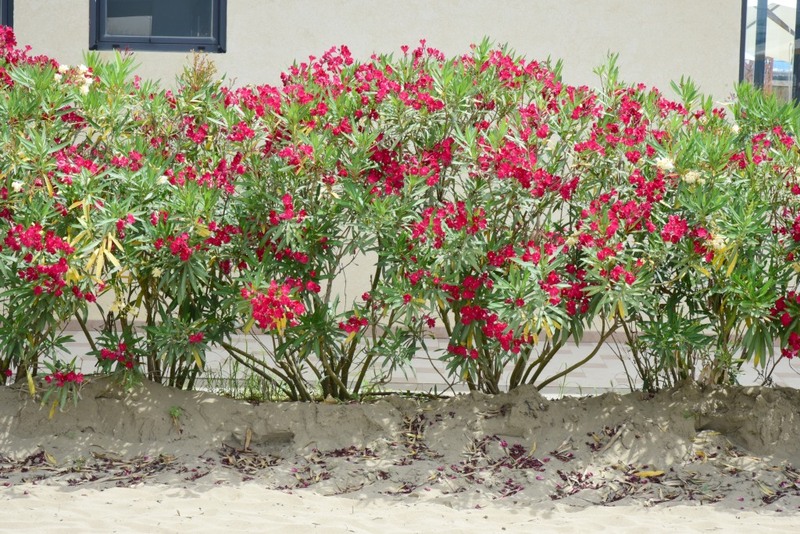 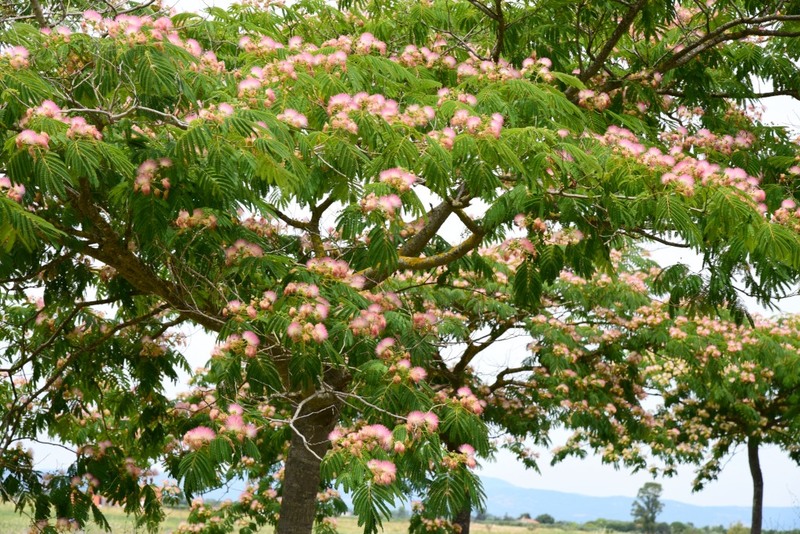 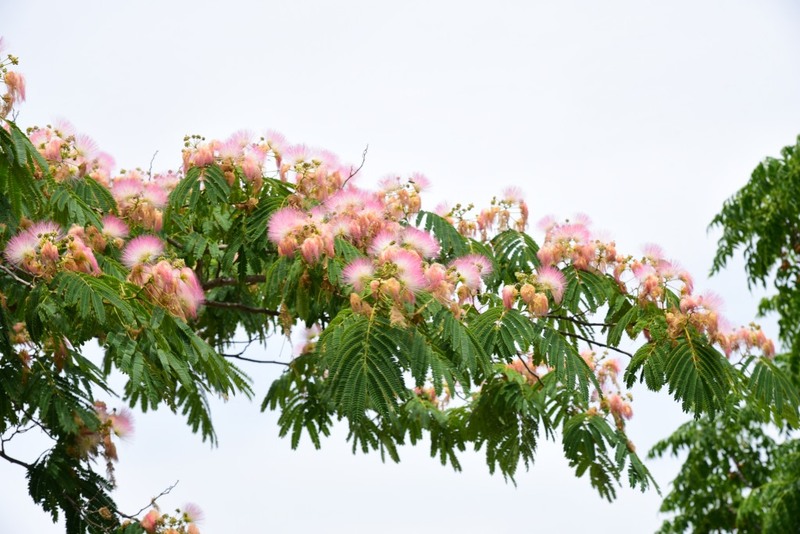 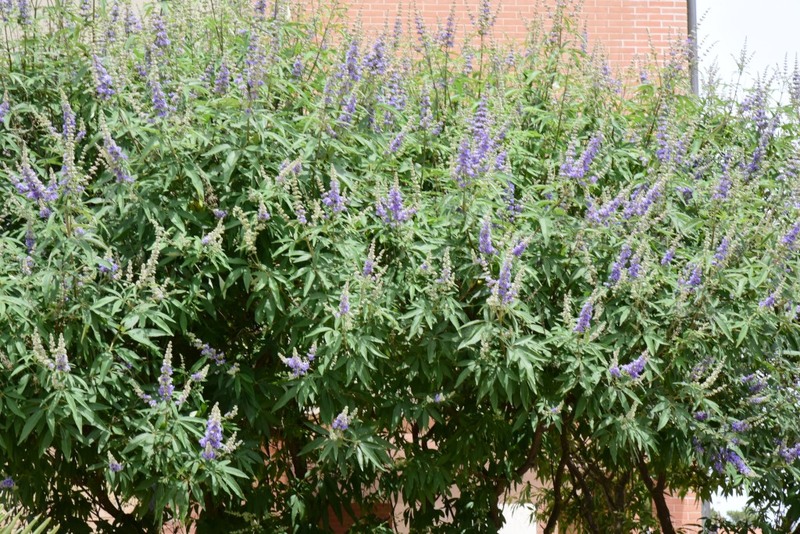 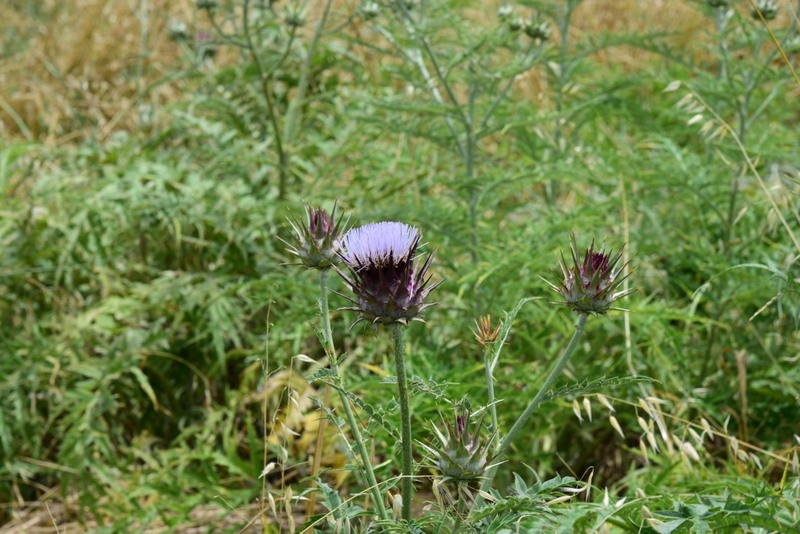 The relatively straight paved bike trail toward the coast is lined with muscular thistles and mimosa trees, laden with their stunning cascading pink and ivory fronded blossoms. 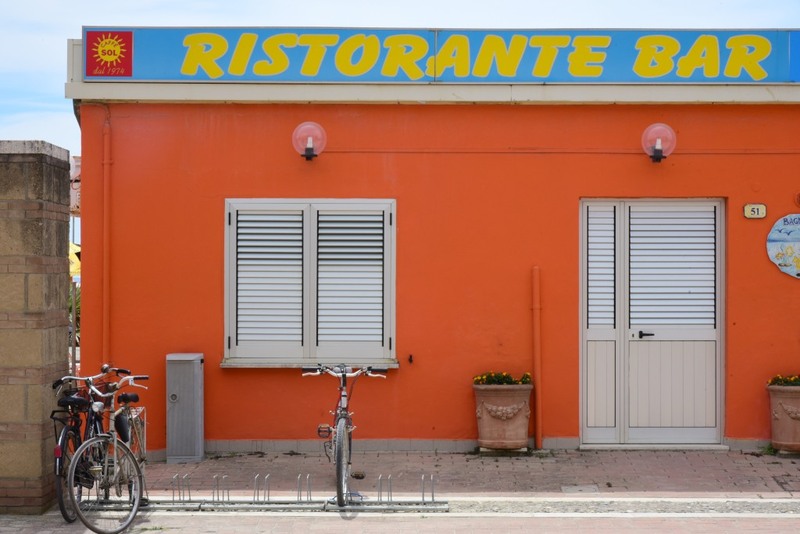 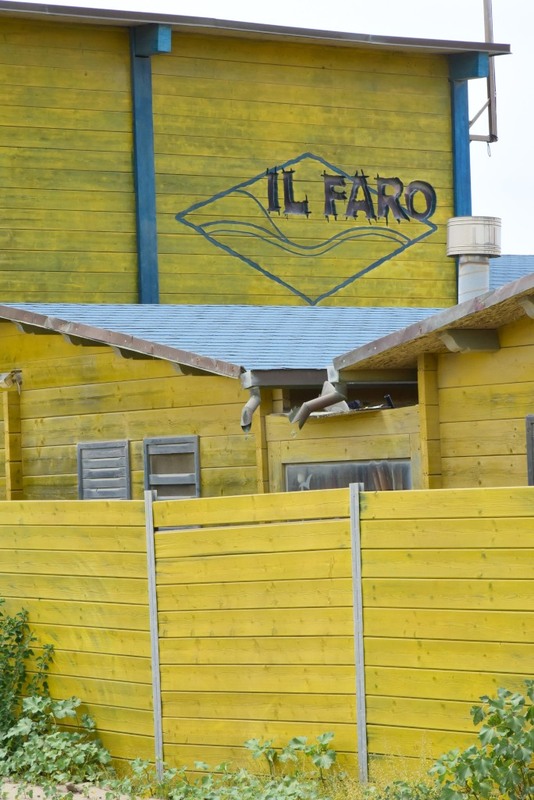 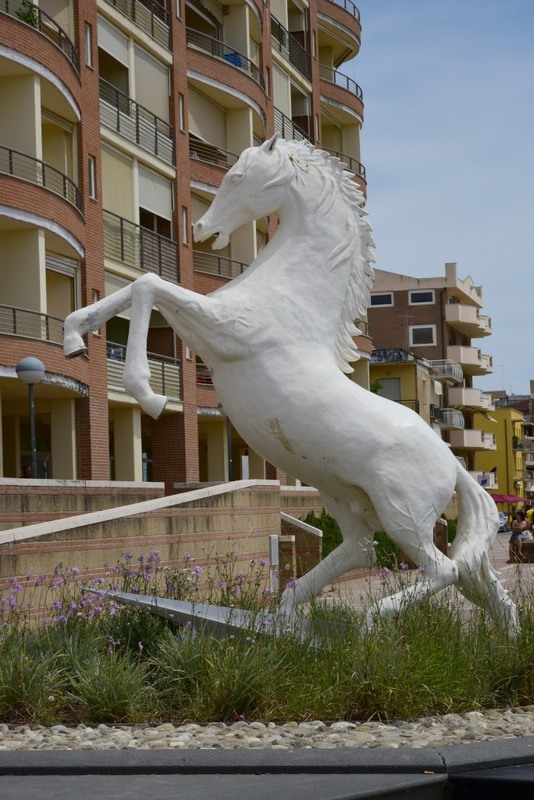 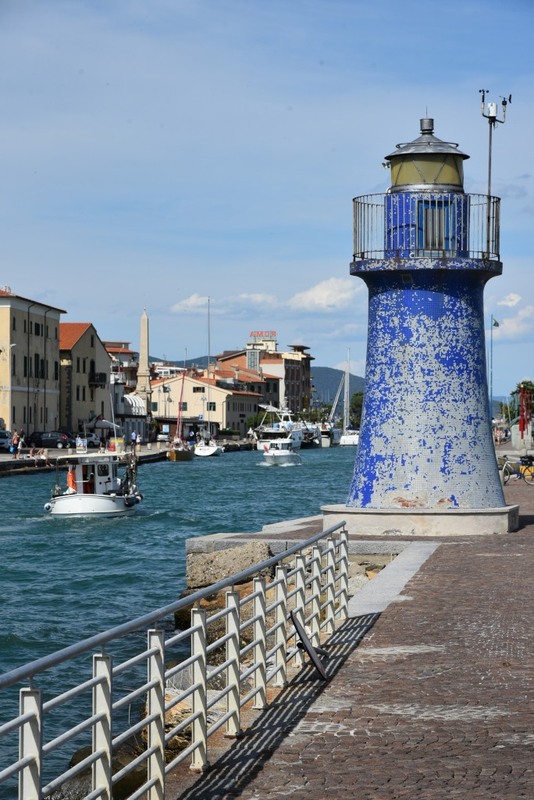 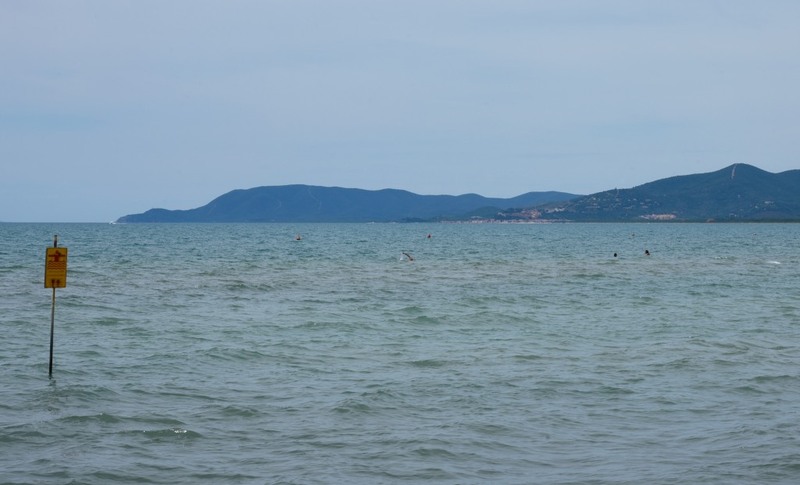 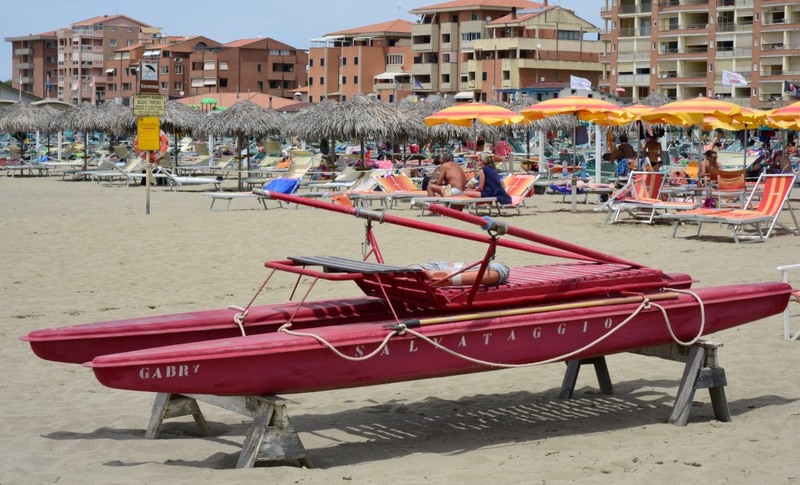 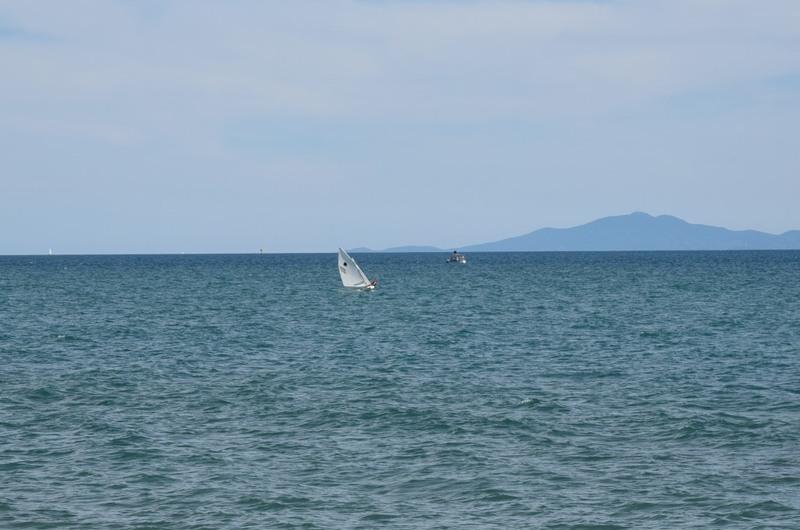 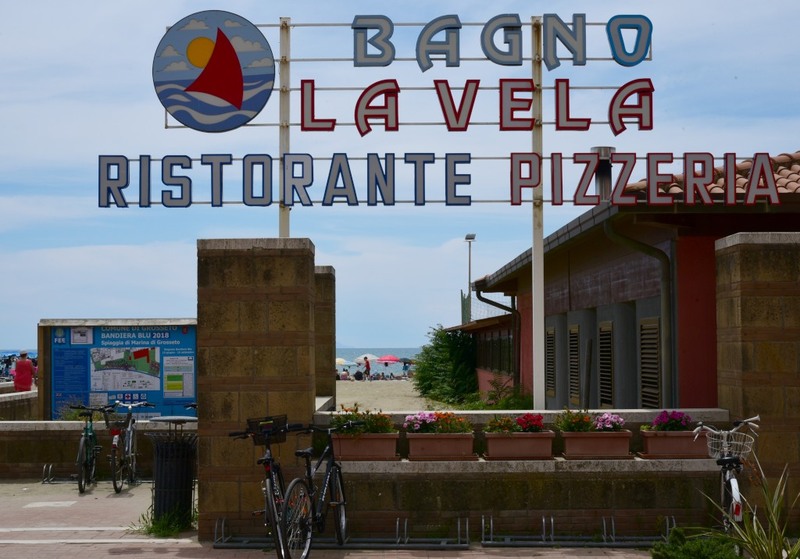 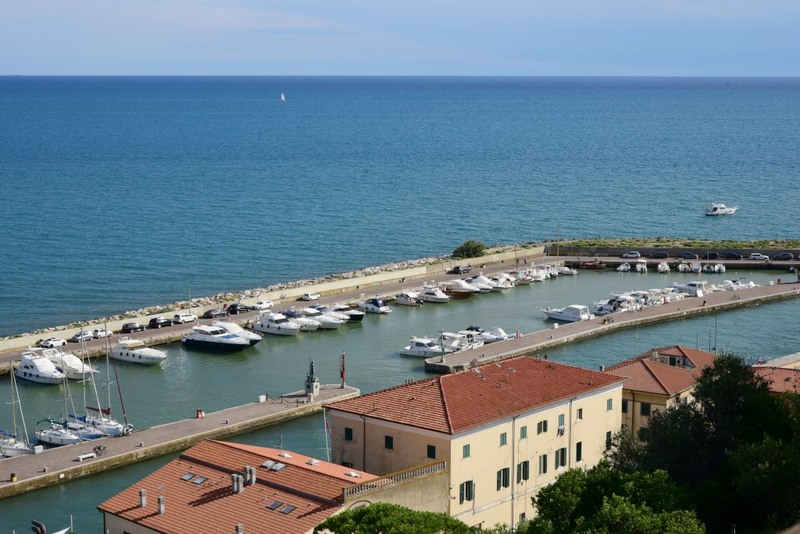 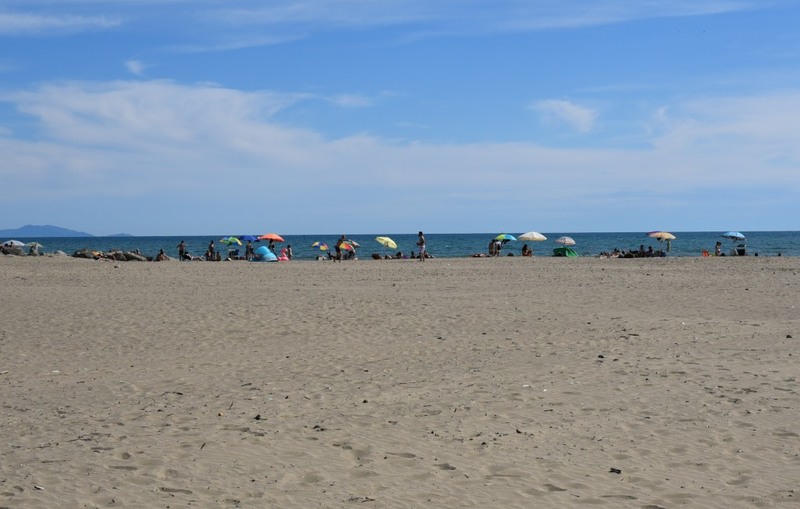 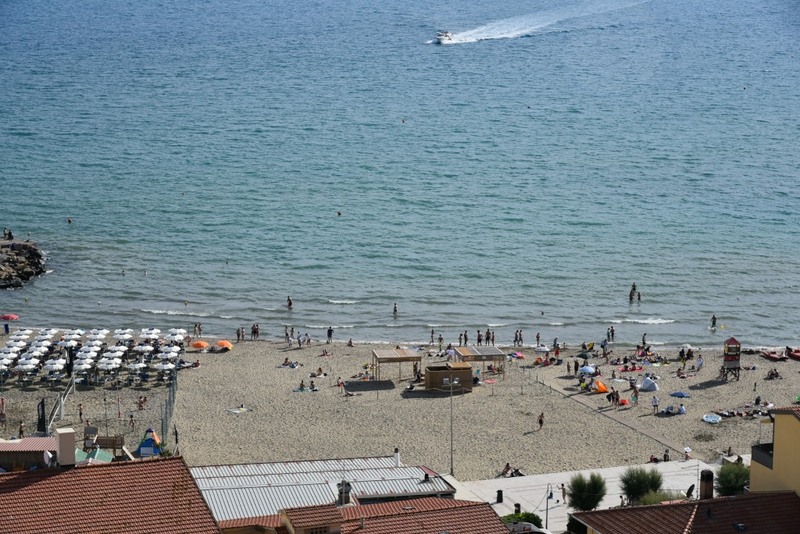 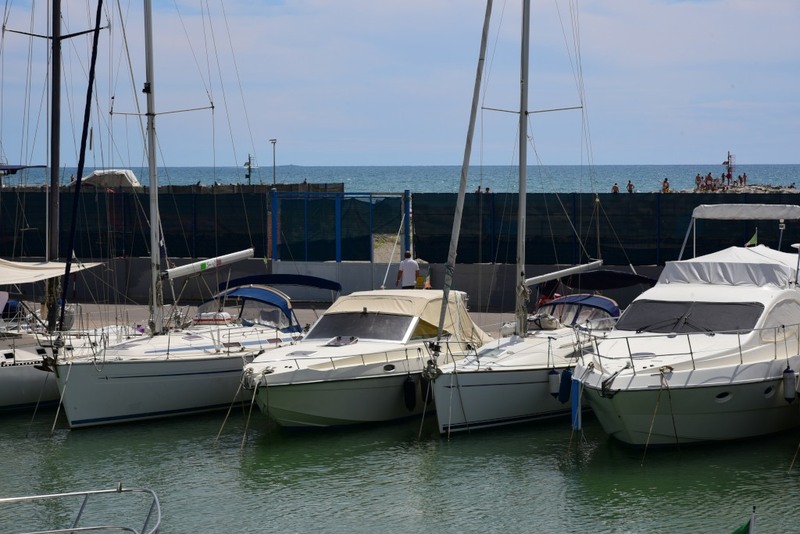 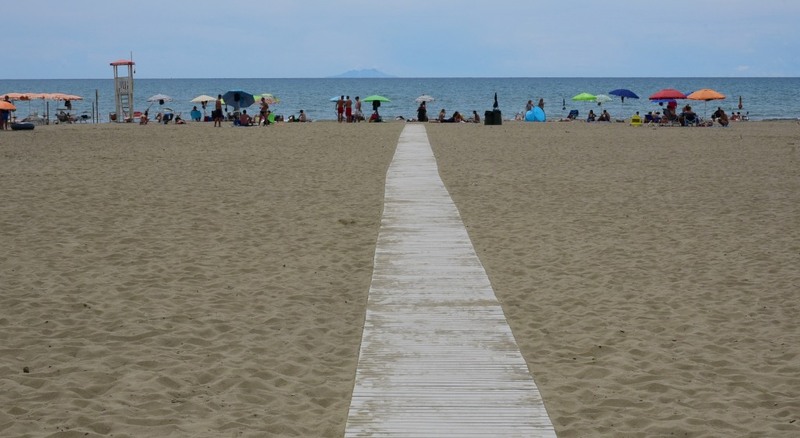 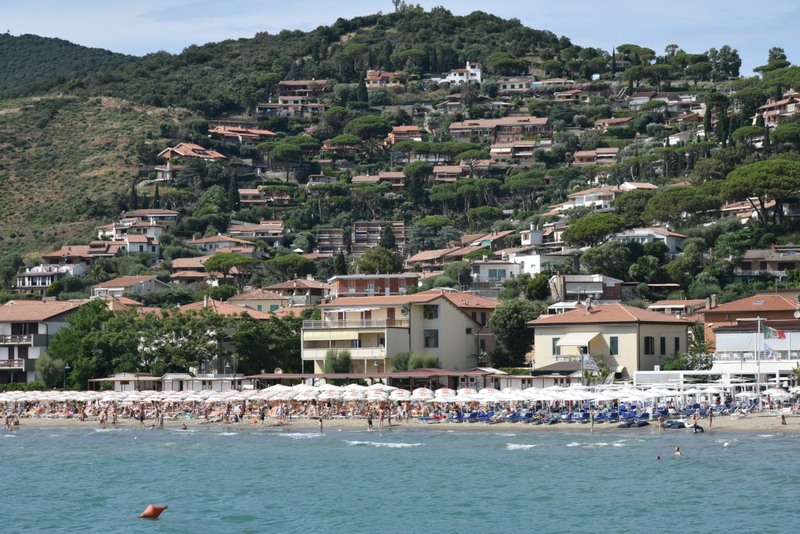 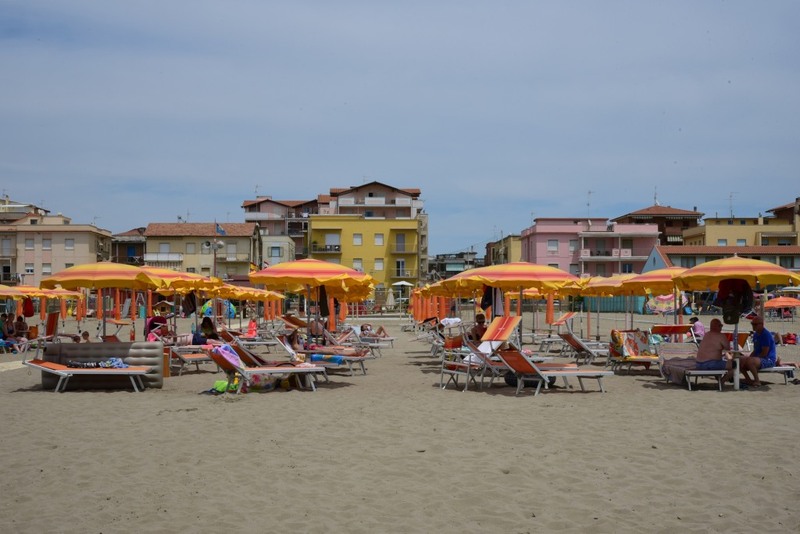 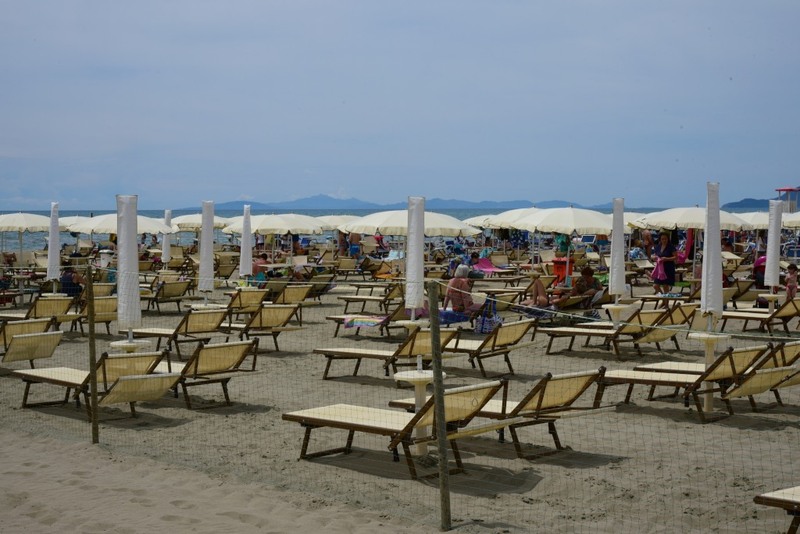 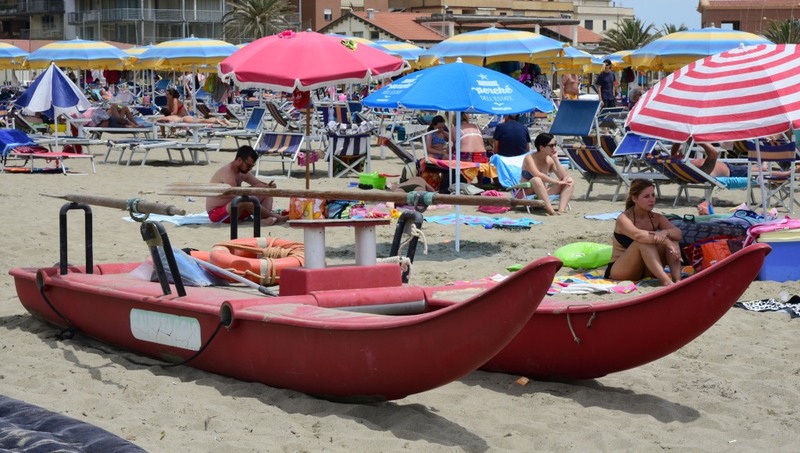 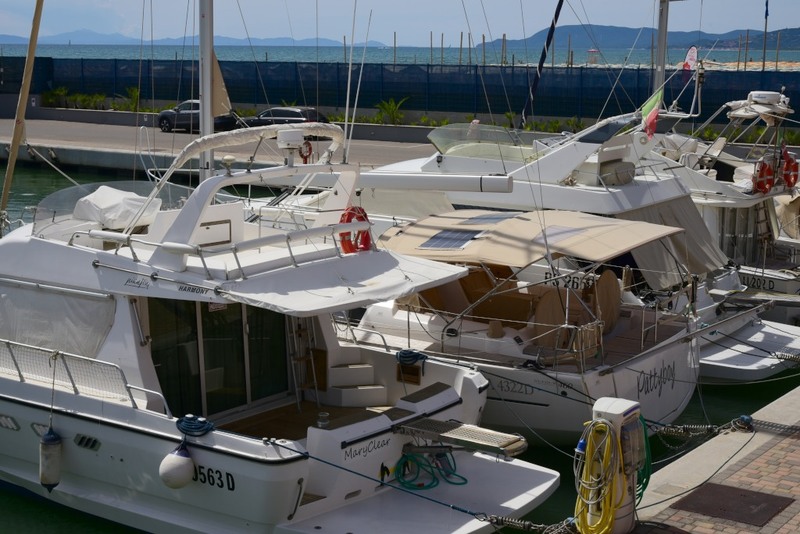 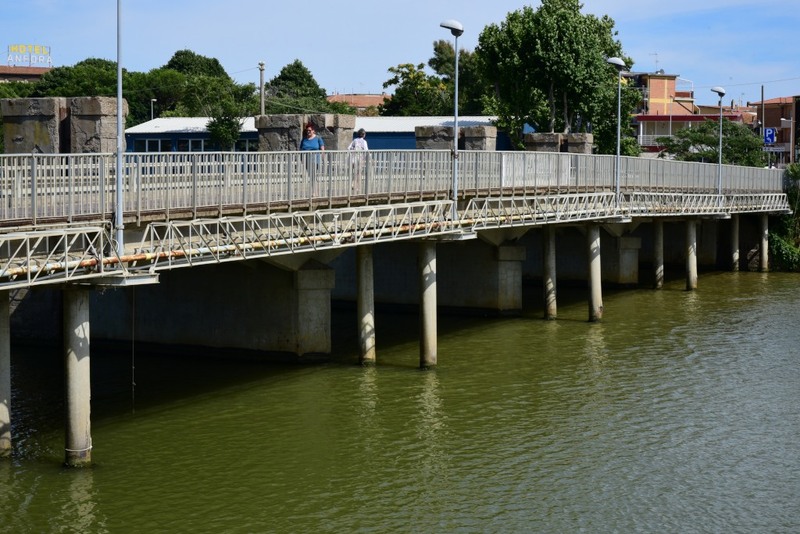 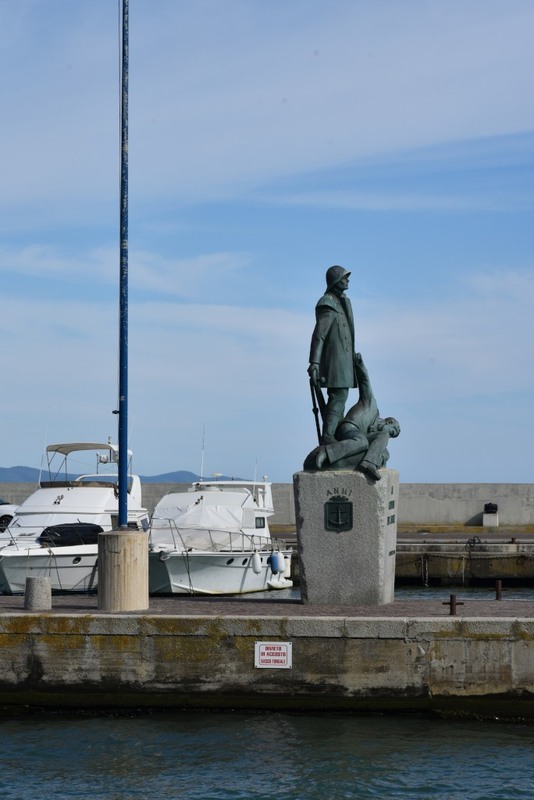 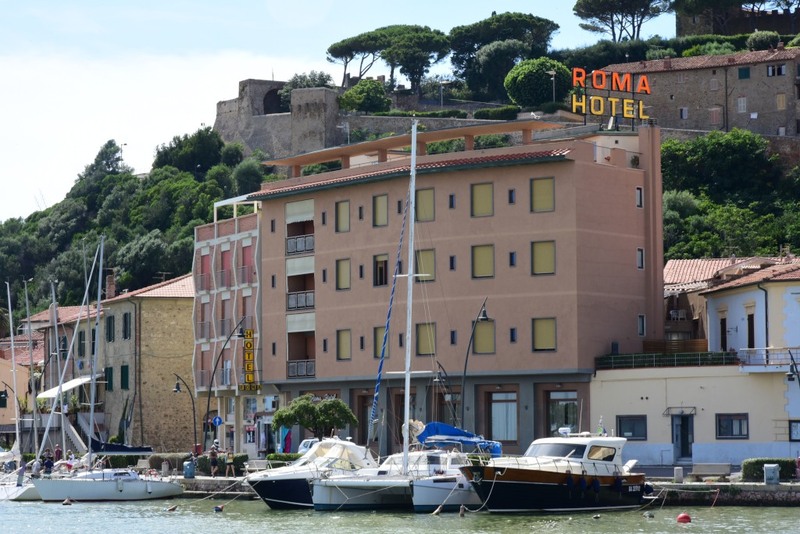 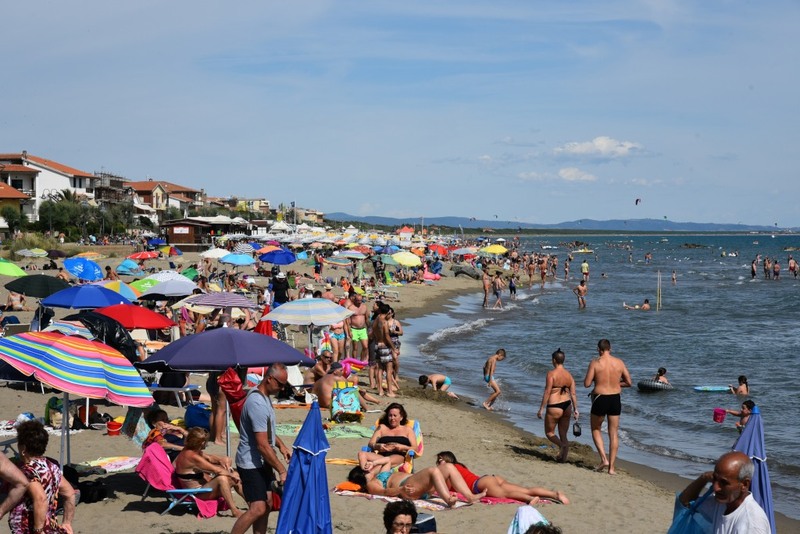 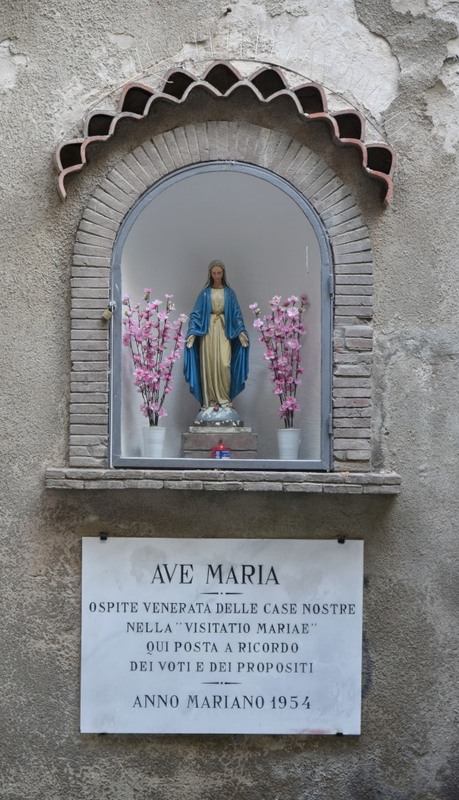 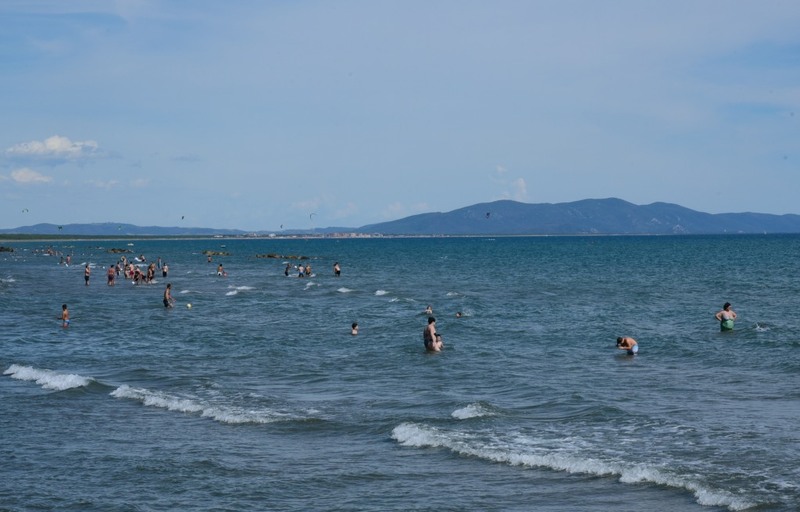 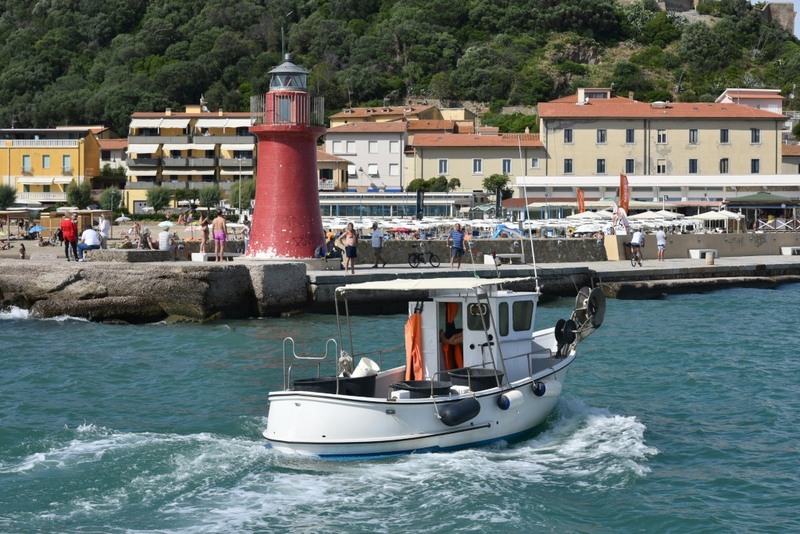 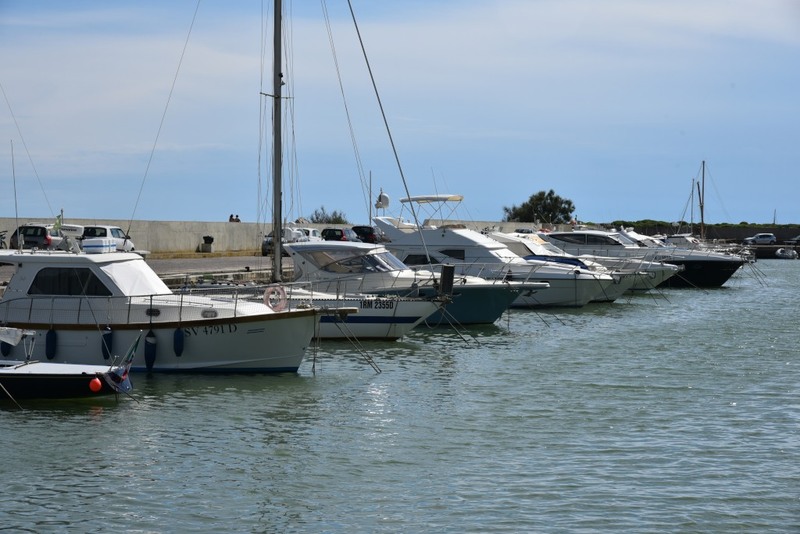 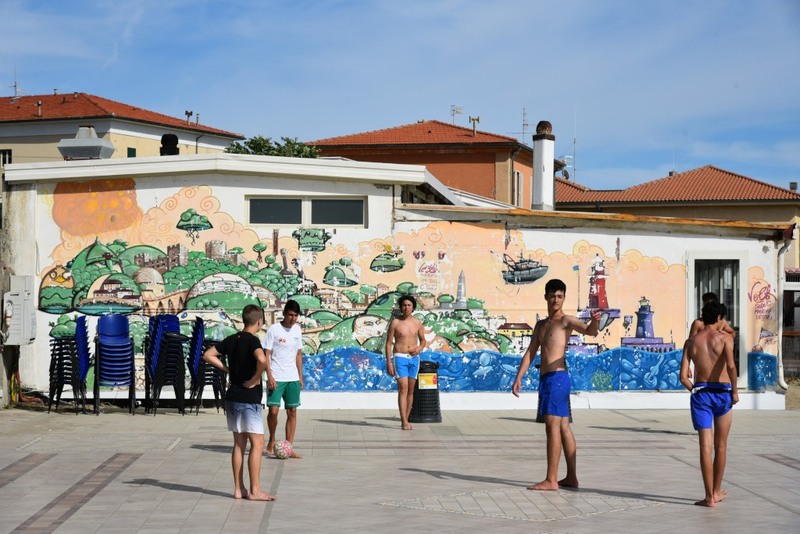 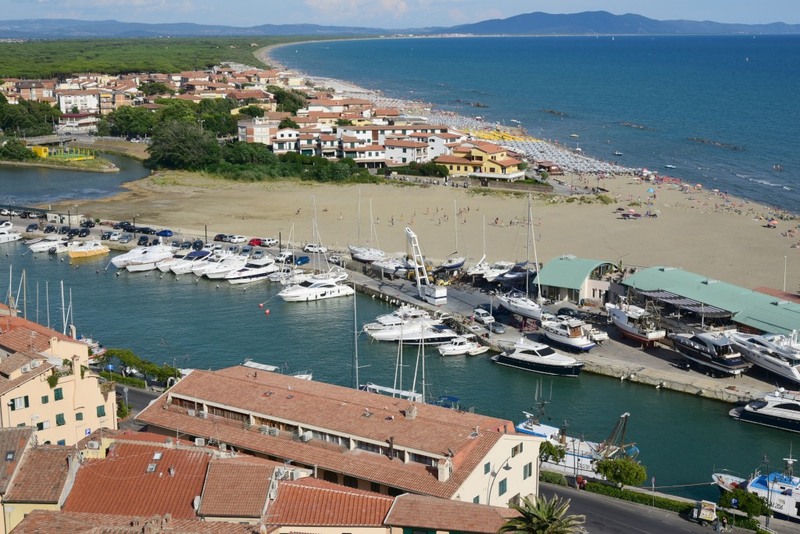 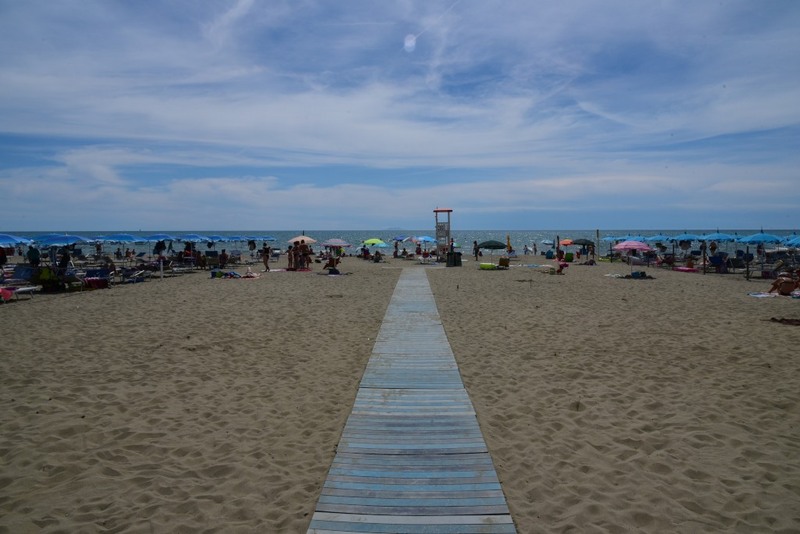 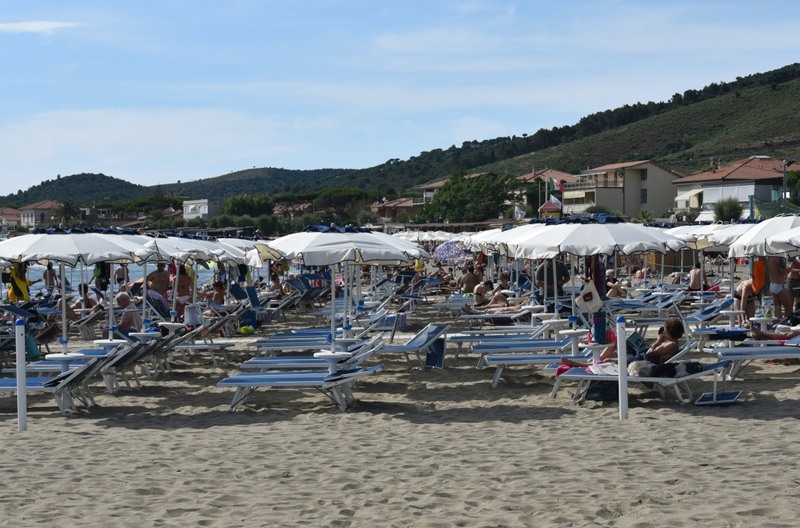 At a distance of 13 kilometres, Marina di Grosseto is the beach community attached to Grosseto, and has the upbeat, business-like quality that incongruously characterizes Italian beach towns. 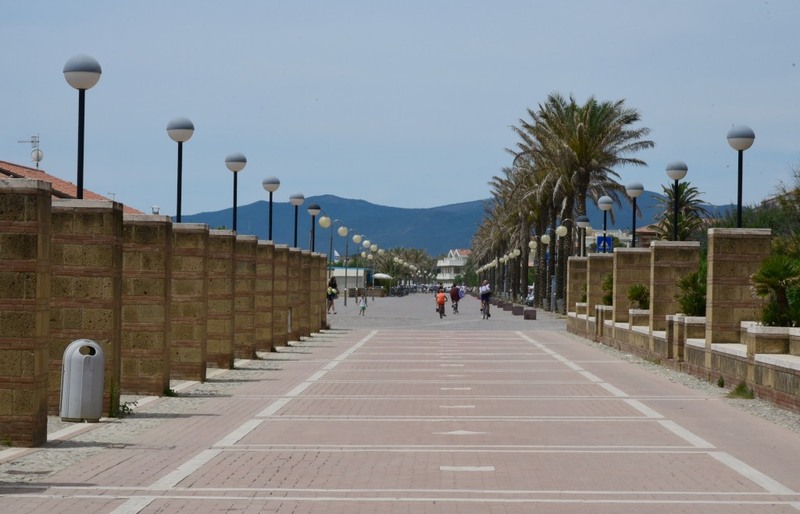 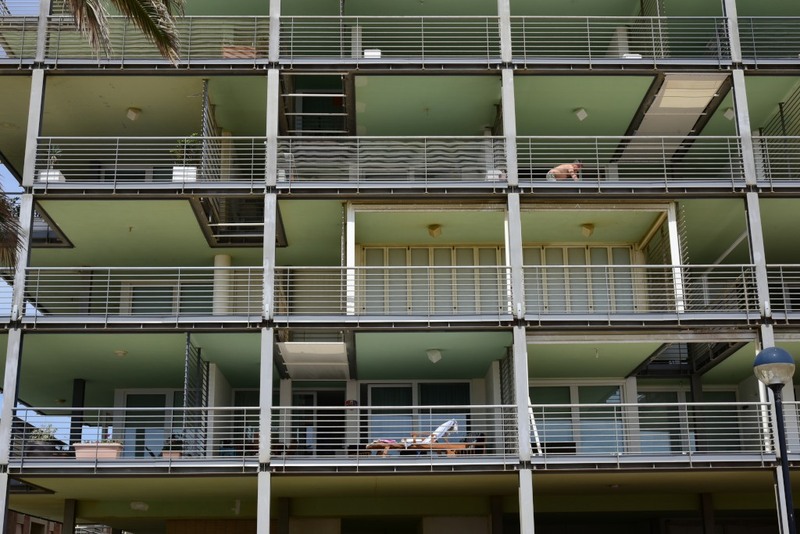 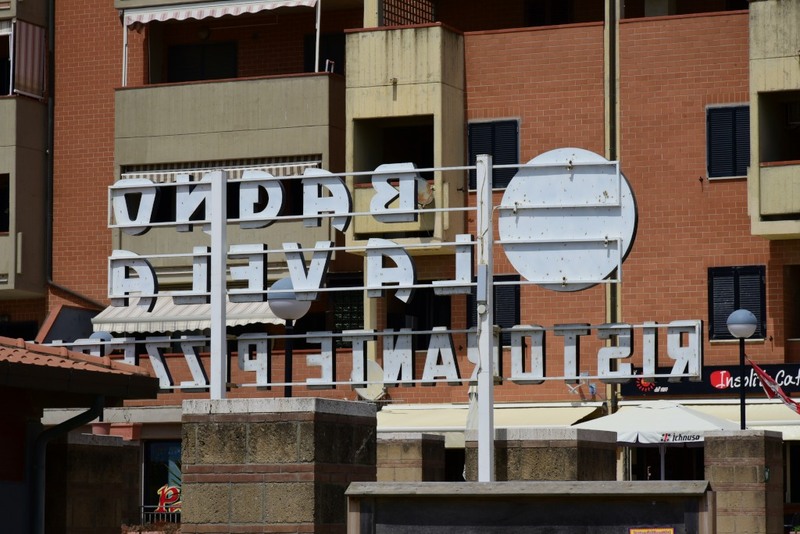 It is rectilinear in layout, resolutely modern, and features a continuous sprawl of restaurants, bars and cafes that runs along the streets parallel to the beach. 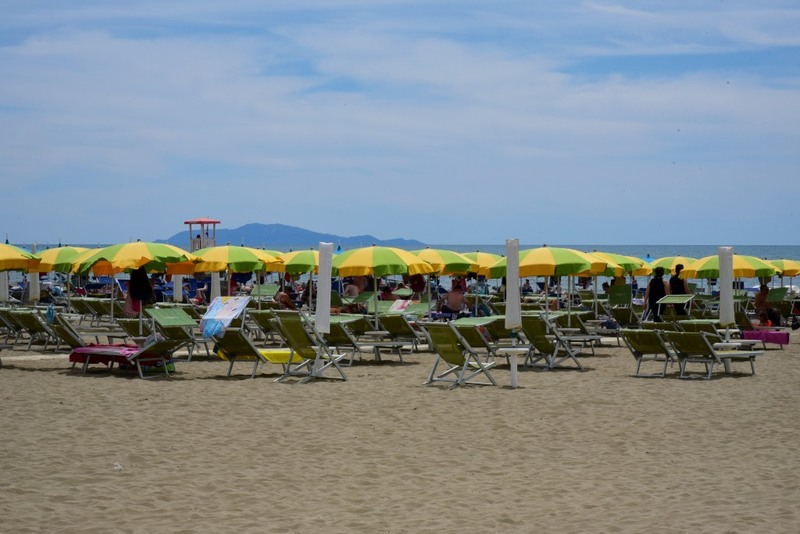 The beach itself may be long and deep, but completely consumed by the presence of throngs of people in various states of repose in their chairs, lost under a sea of colour-coordinated umbrellas, every block of beach chairs and umbrellas belonging to a different establishments. 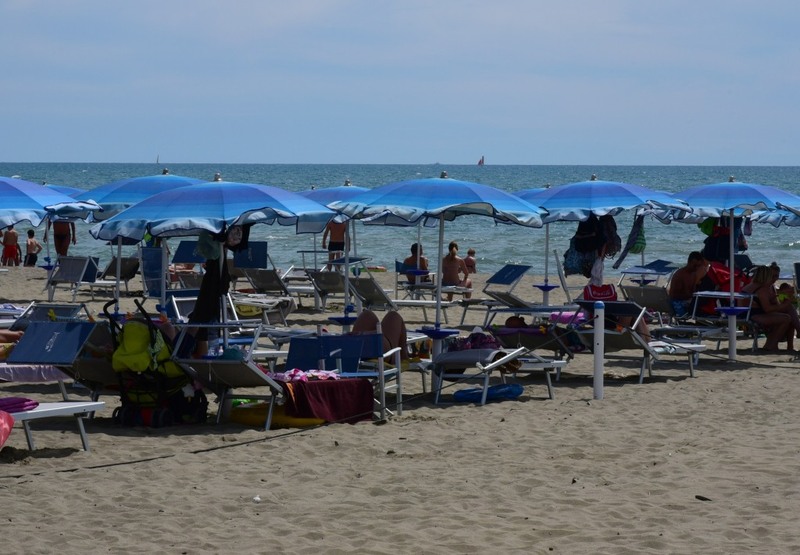 None of this is free: not the restaurants, not the beach chairs, nor the shade from the umbrellas, although you can easily just throw a towel down onto the sand and do your thing there, independent of the hordes. 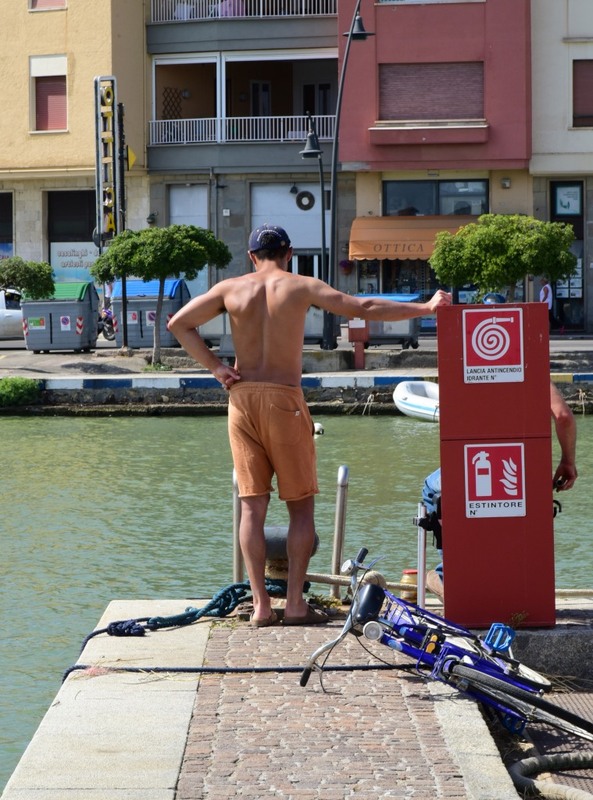 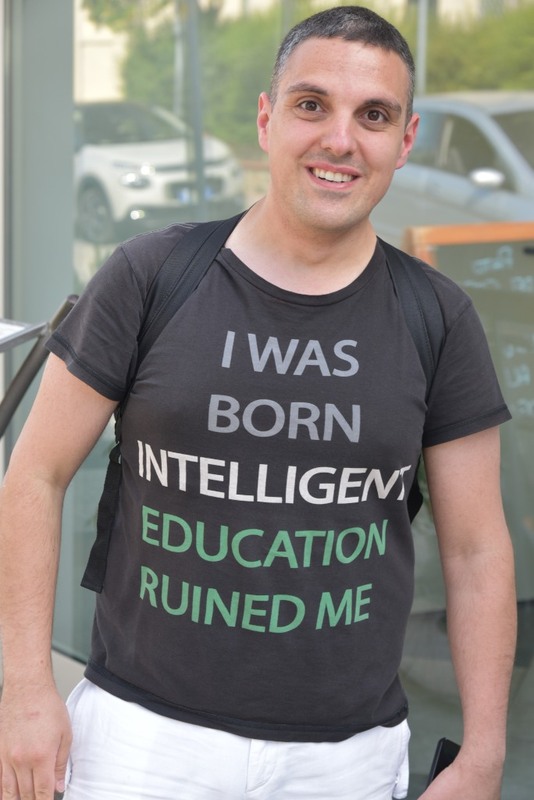 But that’s not what the majority of people do: locals are herd animals who love their creature comforts, their social fabric, and also appearing to do the right thing. 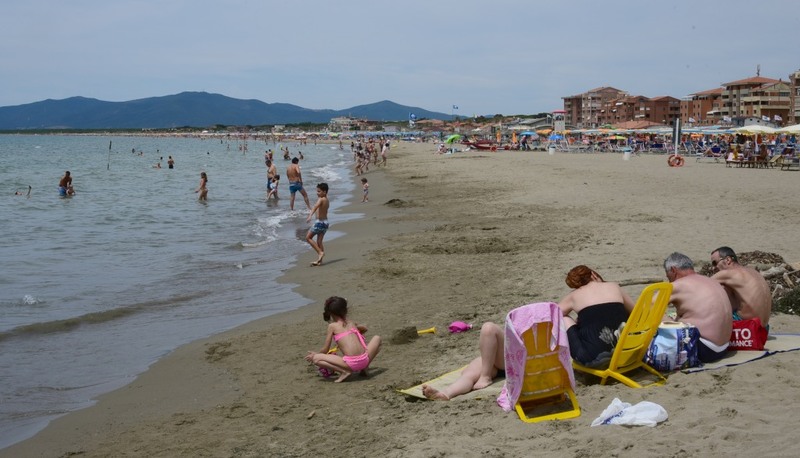 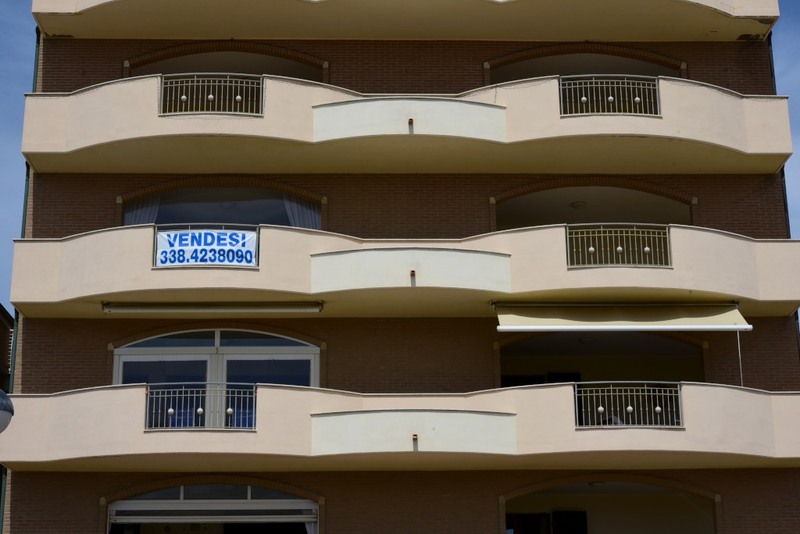 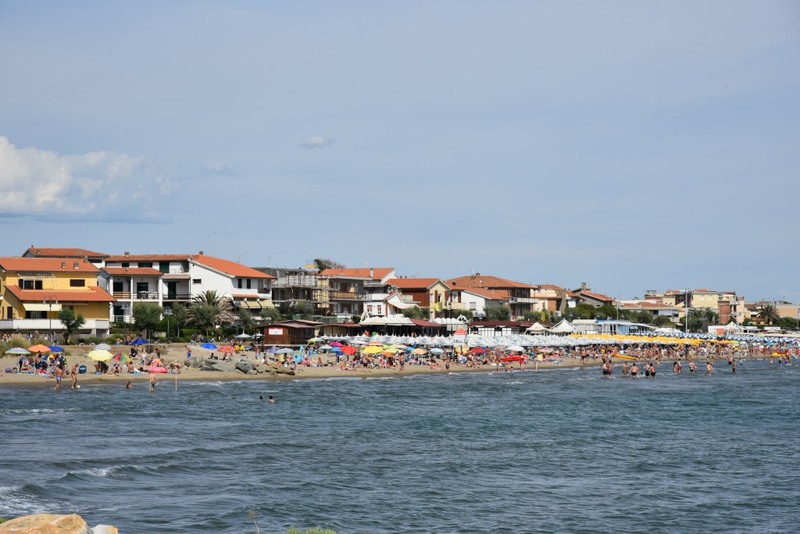 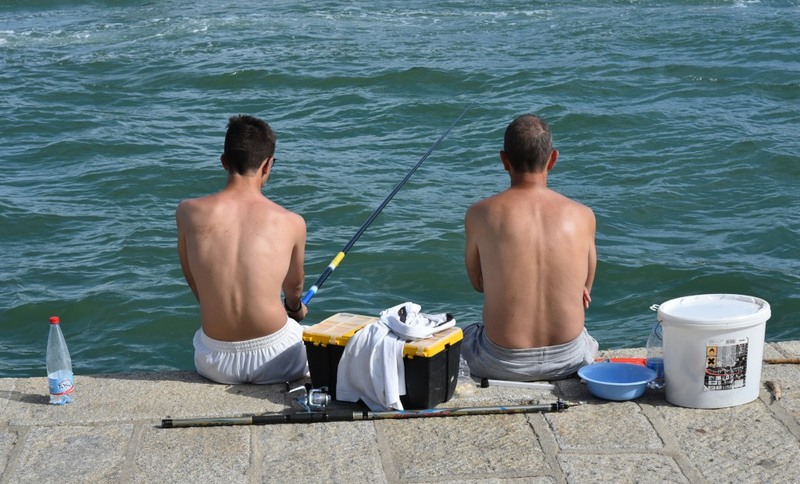 And Marina di Grosseto is intended for a demographic of visitor comfortable enough in life to be able to indulge in the quite affordable amenities that the beach setting offers. 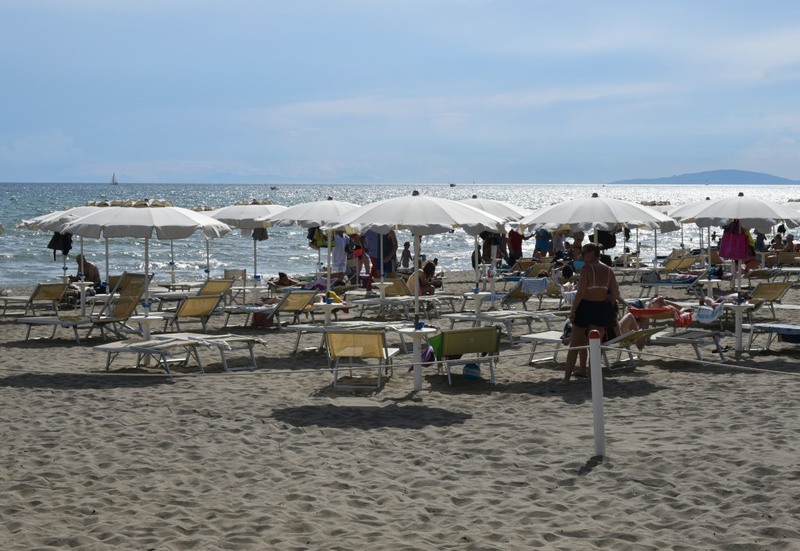 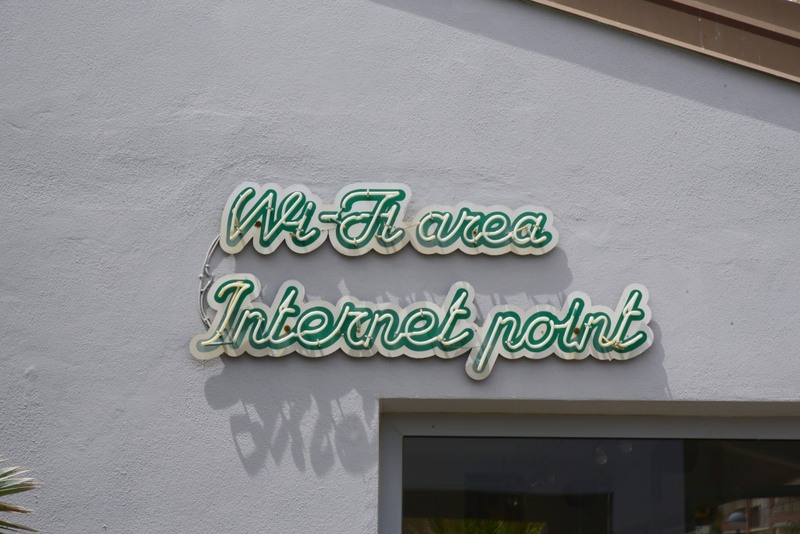 Not least of all, the seemingly standardized restaurants with sprawling terraces facing the beaches, the interiors thankfully offering some air conditioning, the prices reasonable, and the quality of food predictably and consistently good. 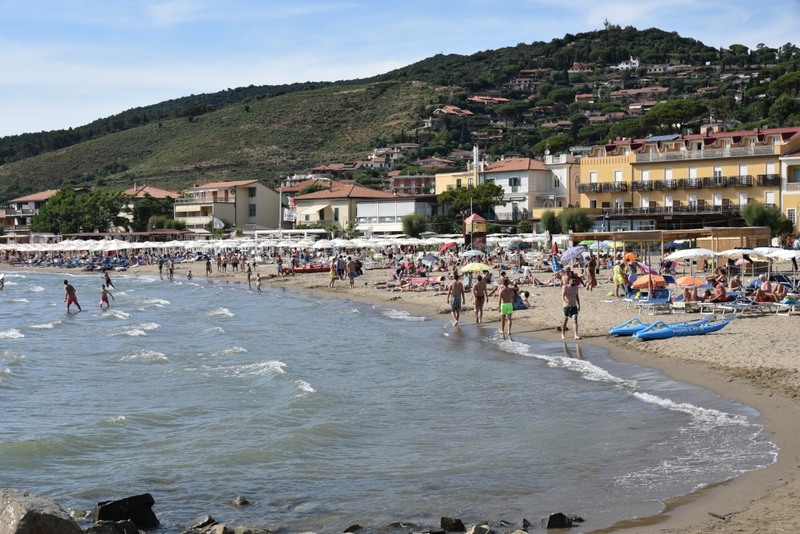 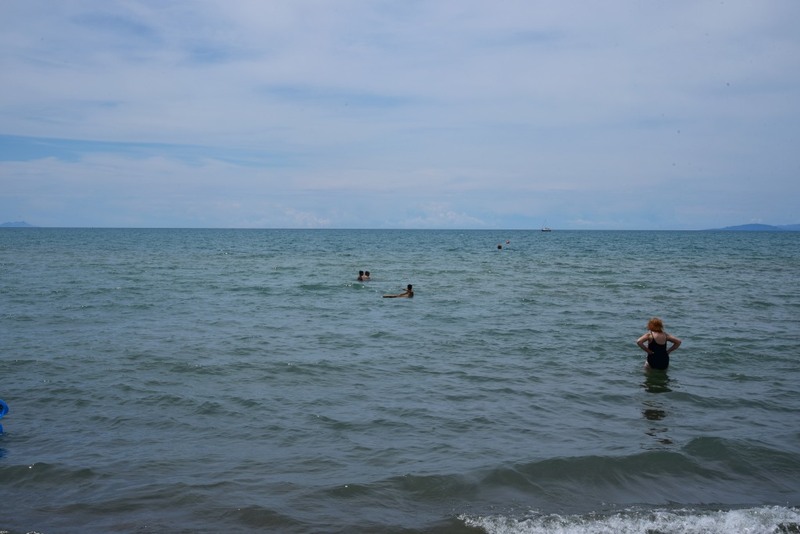 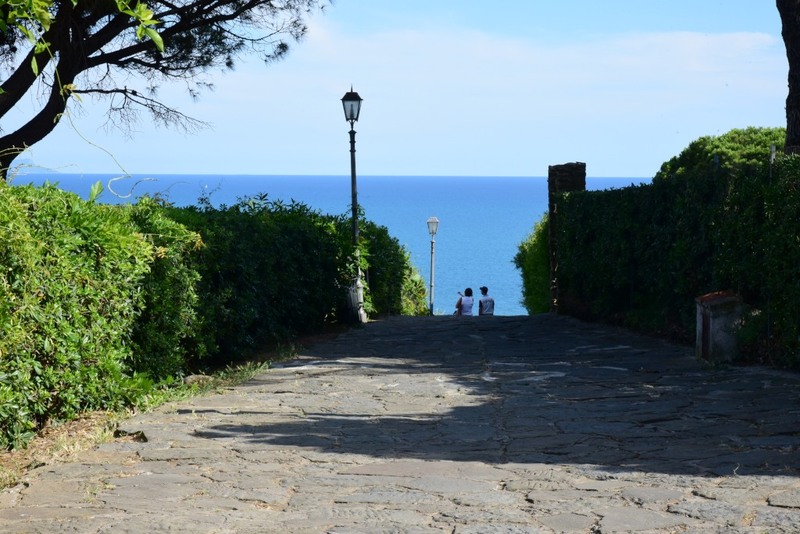 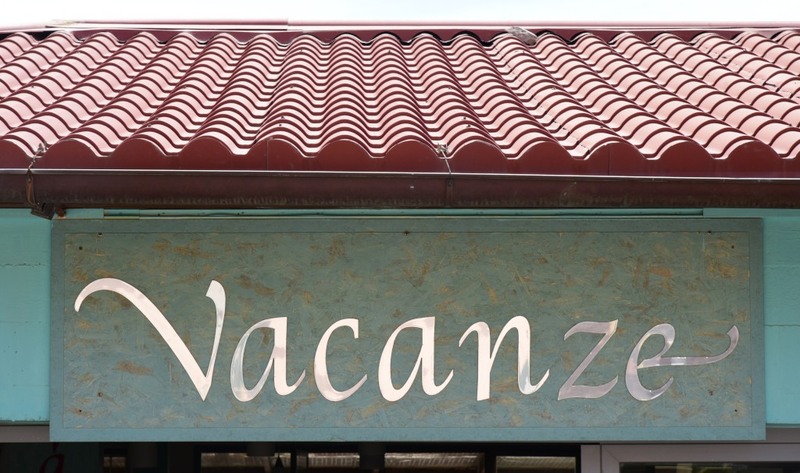 No matter how crowded the resort may be, suffering from excessive organization and clinical purview, on the other side is the Tyrrhenian Sea, brooding, opaque, and seemingly impervious to mundane considerations. 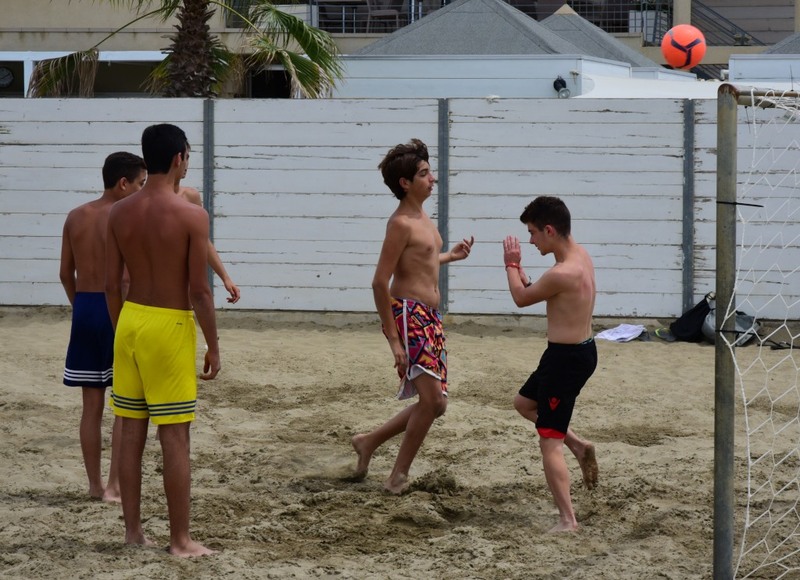 Thankful, the sand reaches far enough inland to provide a suitable arena for primarily young men to exercise their talents at football, which held me momentarily captivated if only due to my surprise at how badly they played. 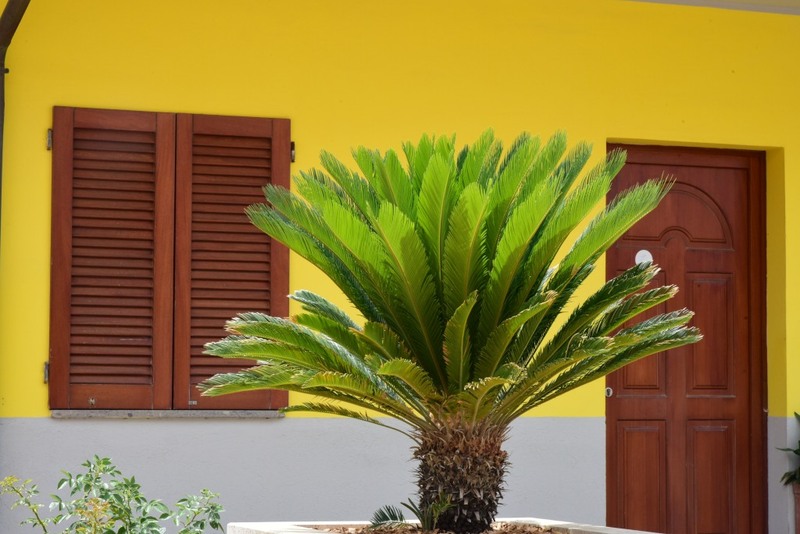 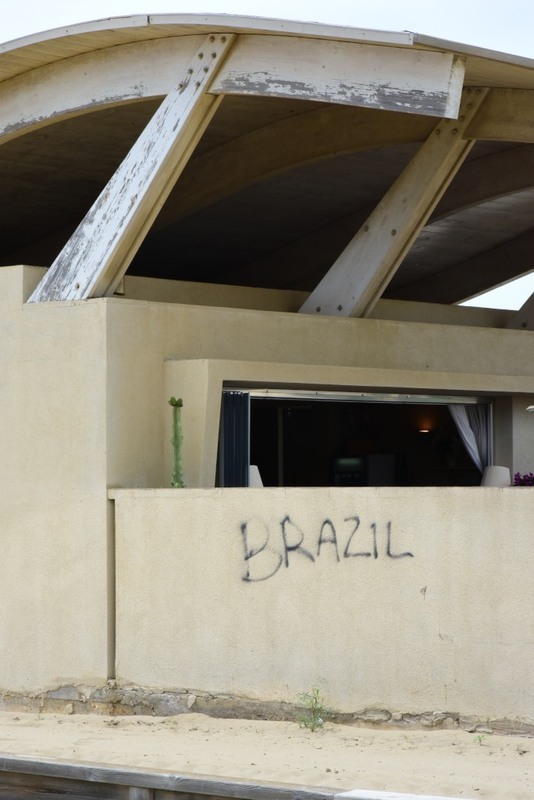 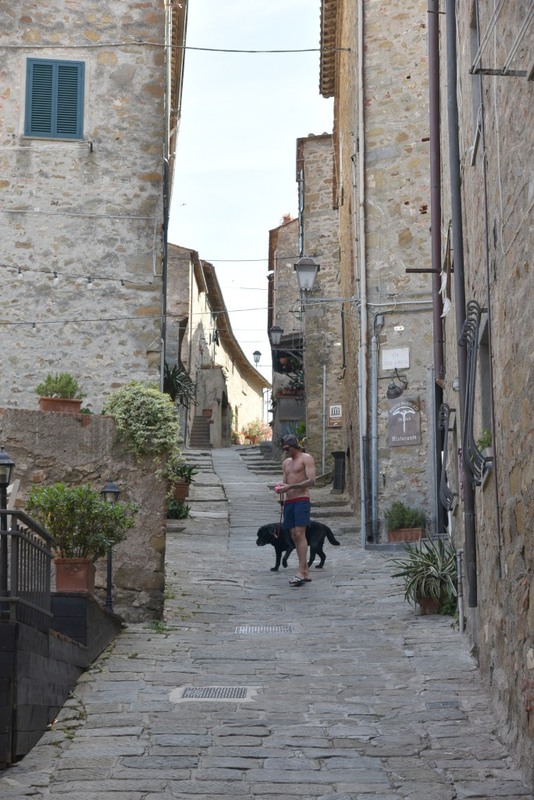 The town’s residential architecture is modern, comfortable, characterless, and as bereft of the possibility of discovery as the more historic urban cities further towards the interior of the country may be characterized as. 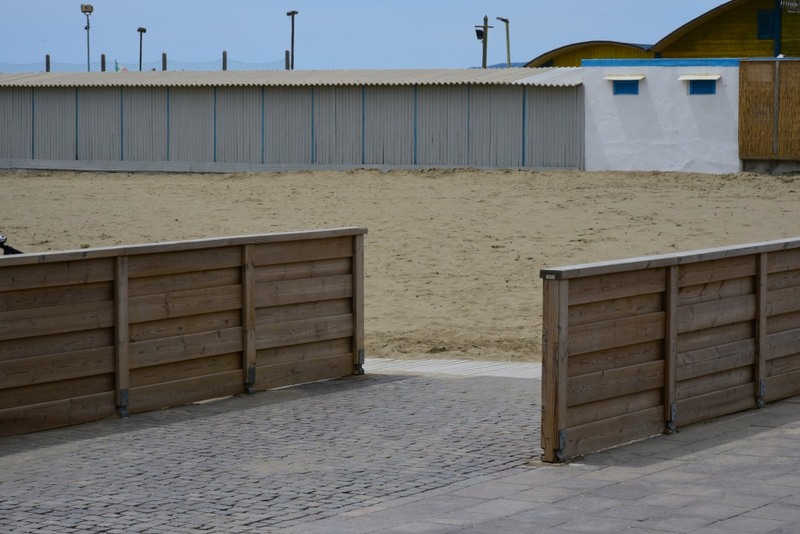 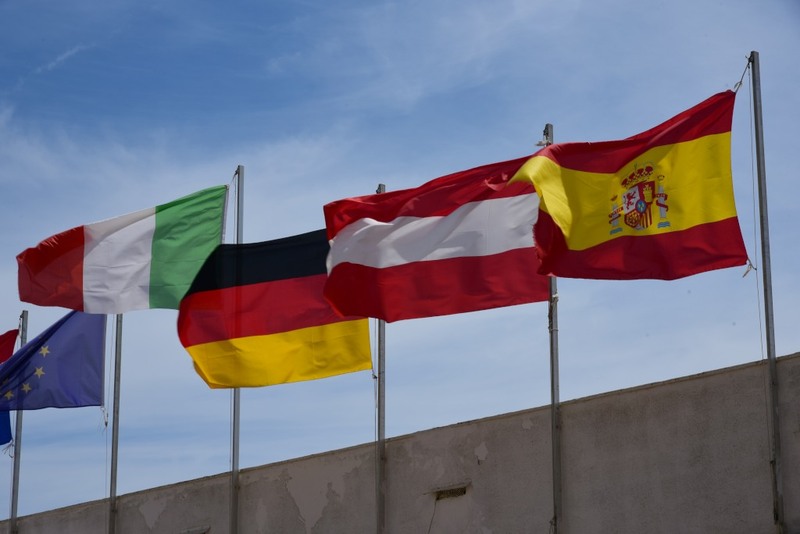 But no matter: locals have long been inured to the stunning medieval cities that hold foreigners in wonder, and here all that matters is the sun, sand and (absence of) surf. 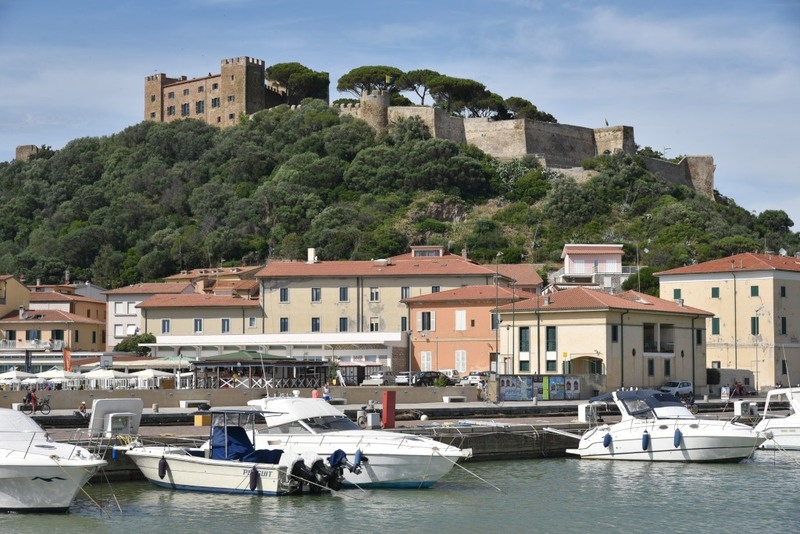 Northwest along the coast, Castiglione della Pescaia presents a somewhat different version of coastal paradise, the tracts of sand facing the sea shallower and clutching the mouth of a scenic bay, set as well against a picturesque historic town whose winding bucolic alleys weave upwards to an imposing castello. 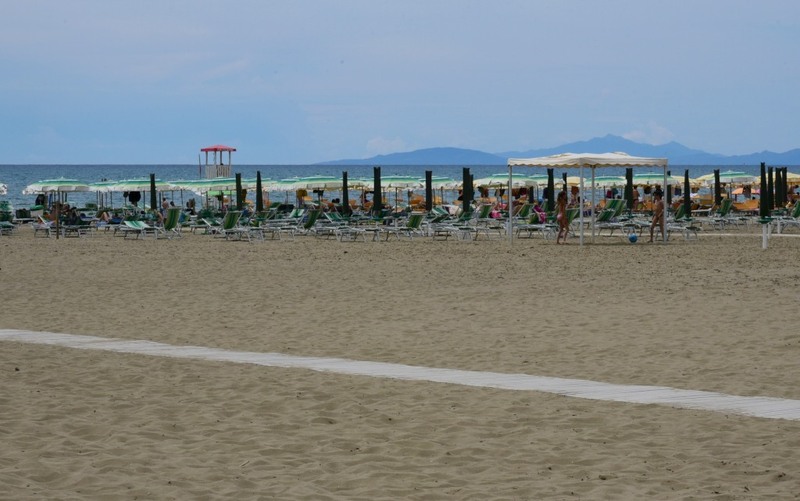 Beyond the crowds gathered to take in the sun on the beaches, partially concealed under the grid of colour-coded umbrellas, a handful of locals tend to the sailboats anchored along the piers, ply the waters with their narrow fishing rods, or peruse the bustling restaurants clustered along the road running parallel to the beach. 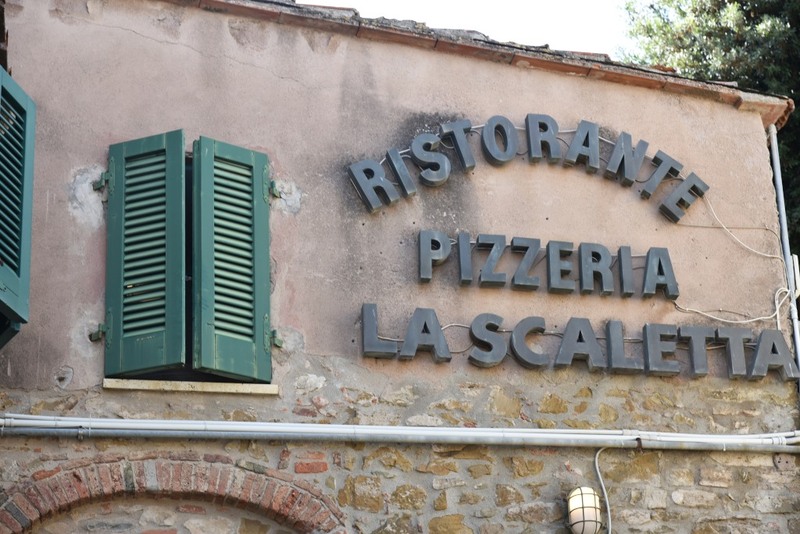 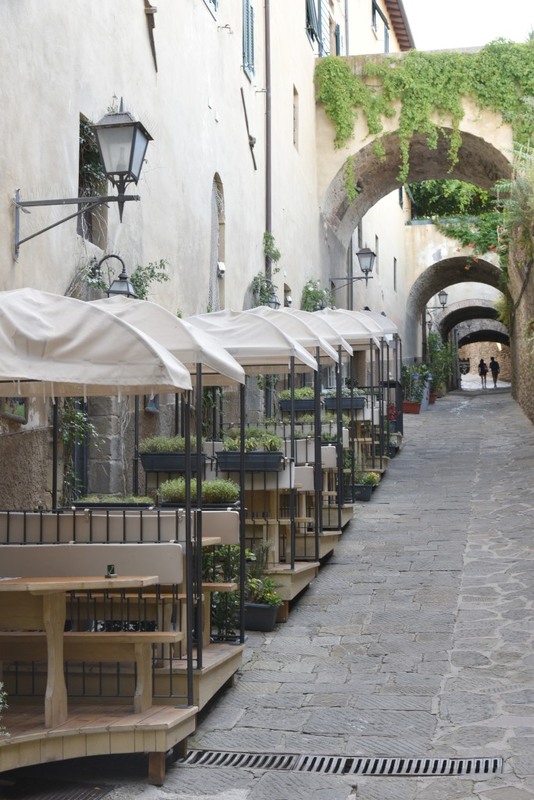 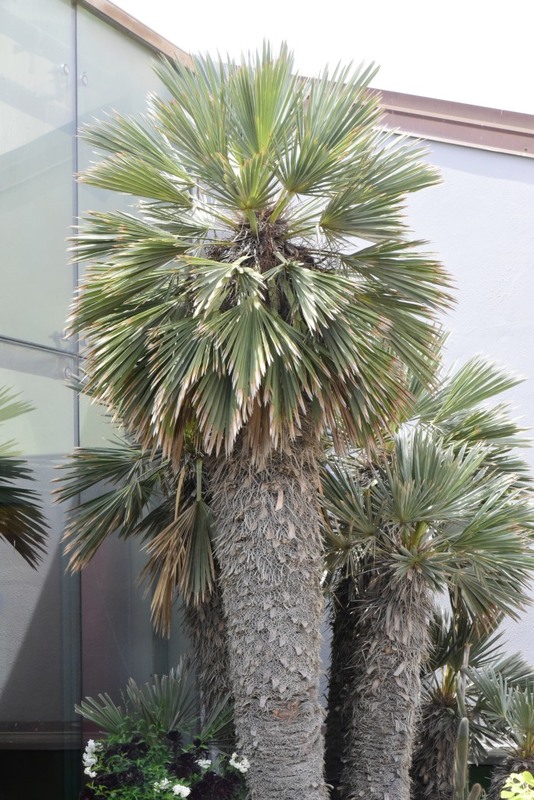 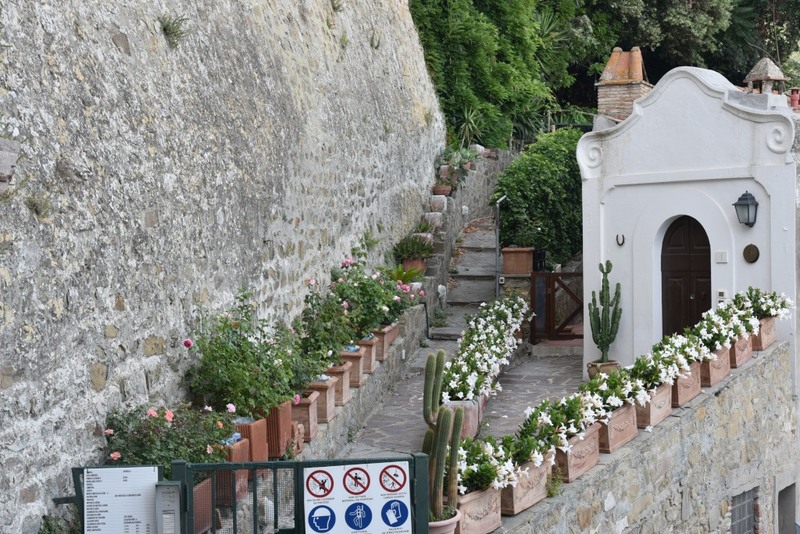 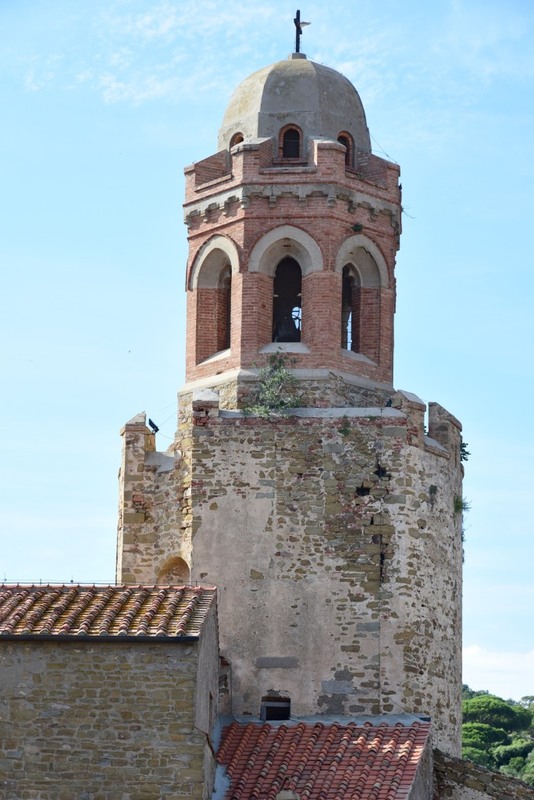 Castiglione della Pescaia is far more intriguing than its neighbor to the south, due to its differing structure and elegant historic centre looking out over the prosaic distractions of the sun-washed beach. 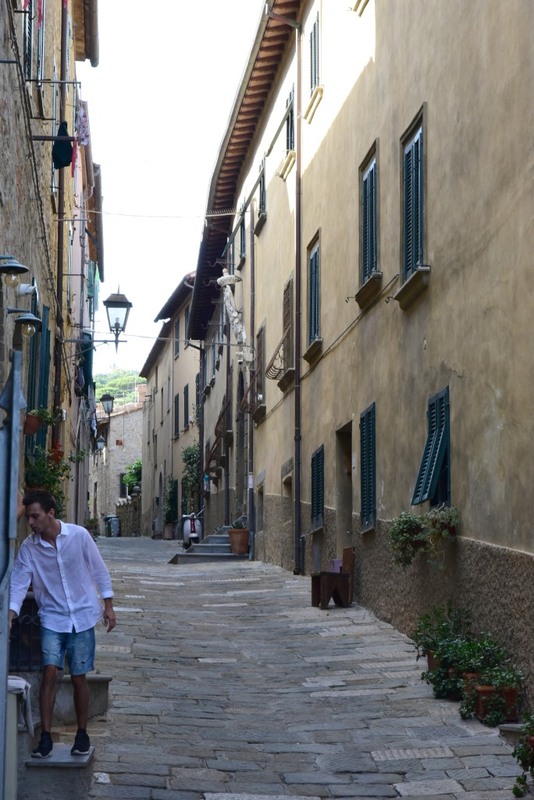 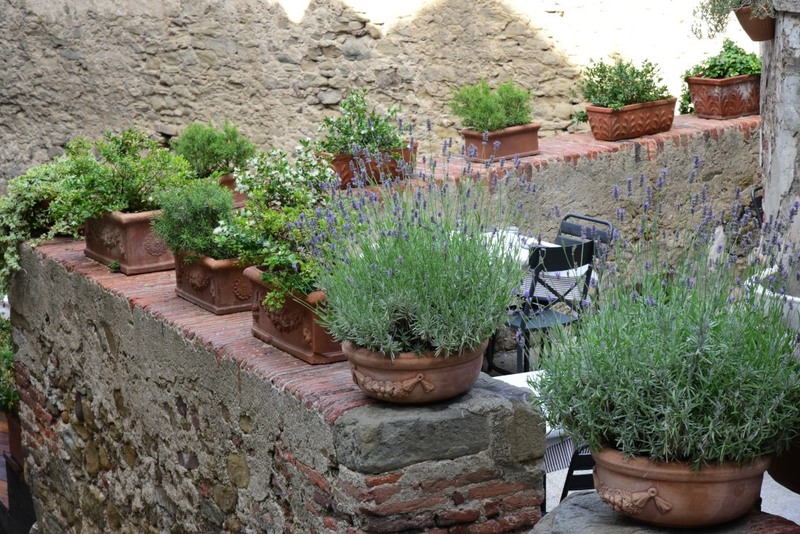 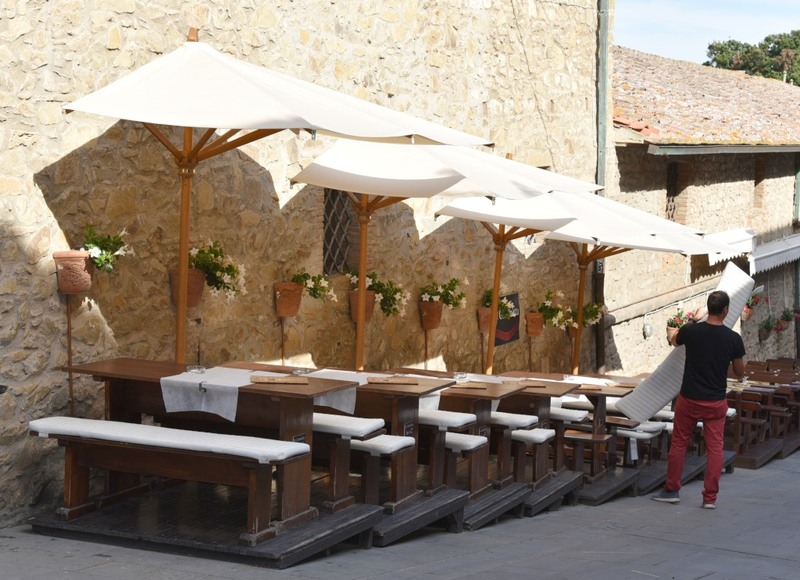 The town’s compactness and singular attractiveness make it one of the most visited places in all of Tuscany. 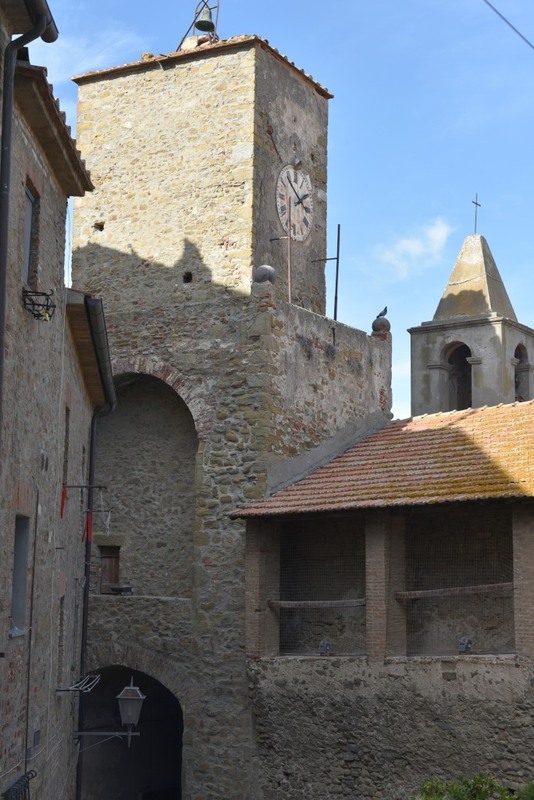 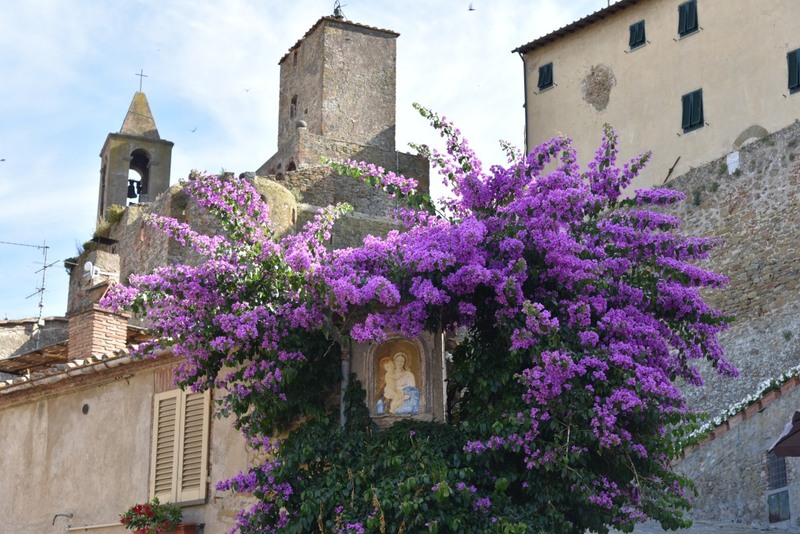 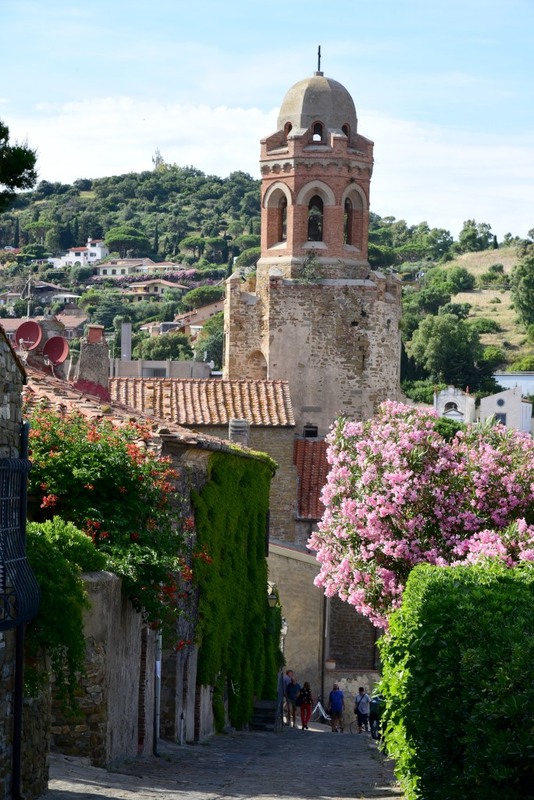 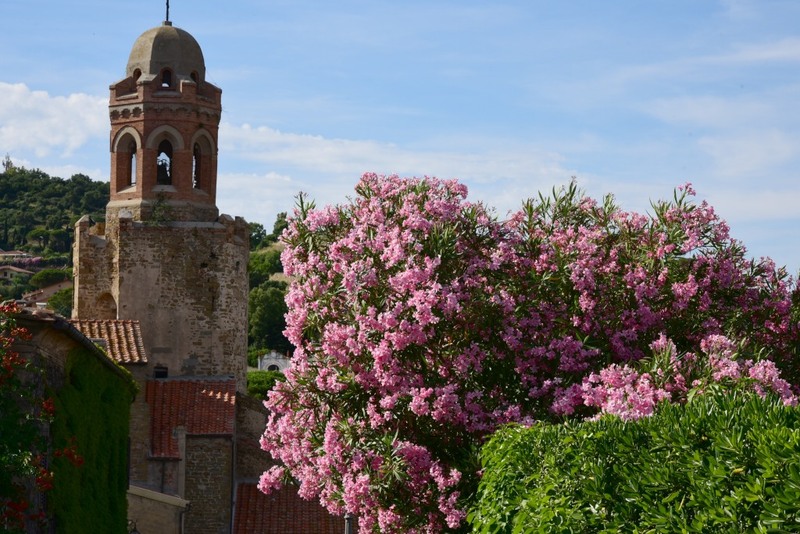 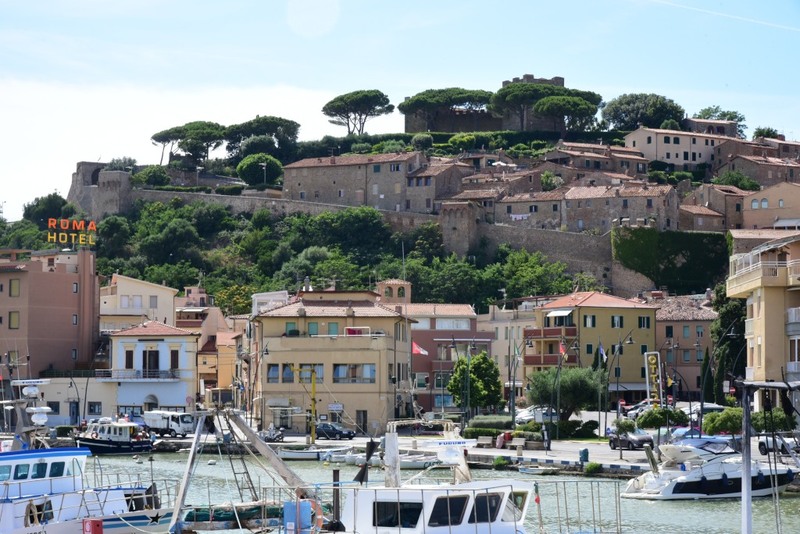 Originally of Etruscan origin, the town fell into Roman hands, then by the early Middle Ages was largely abandoned due to ongoing Saracen raids, a fate suffered by much of the coastal region at the time. 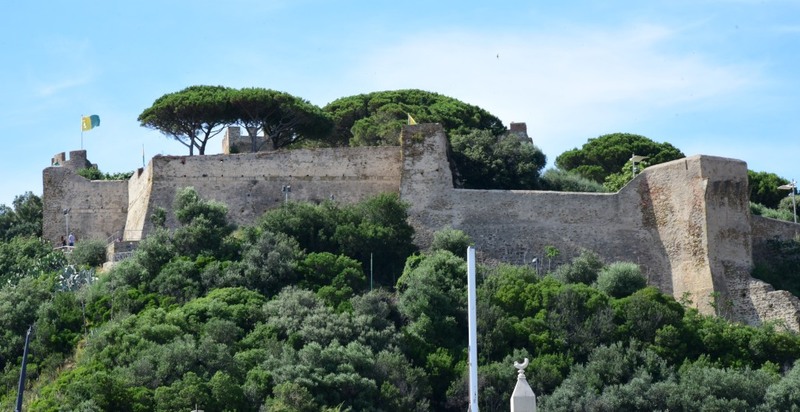 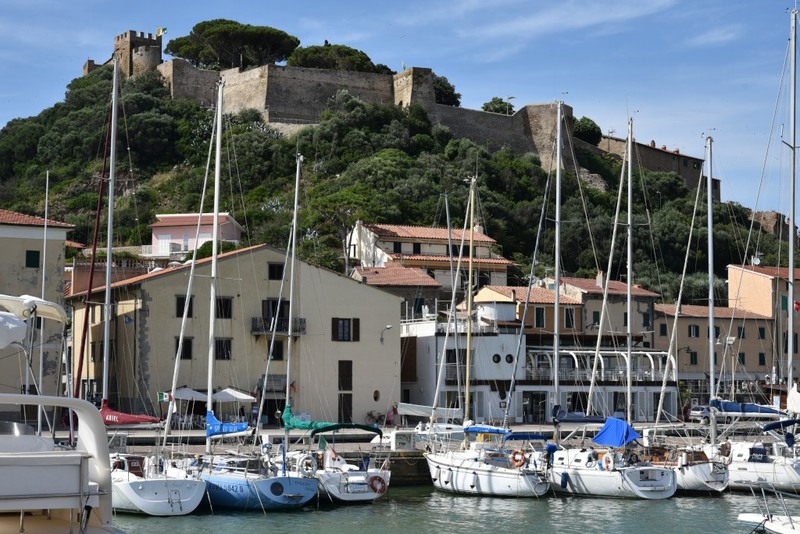 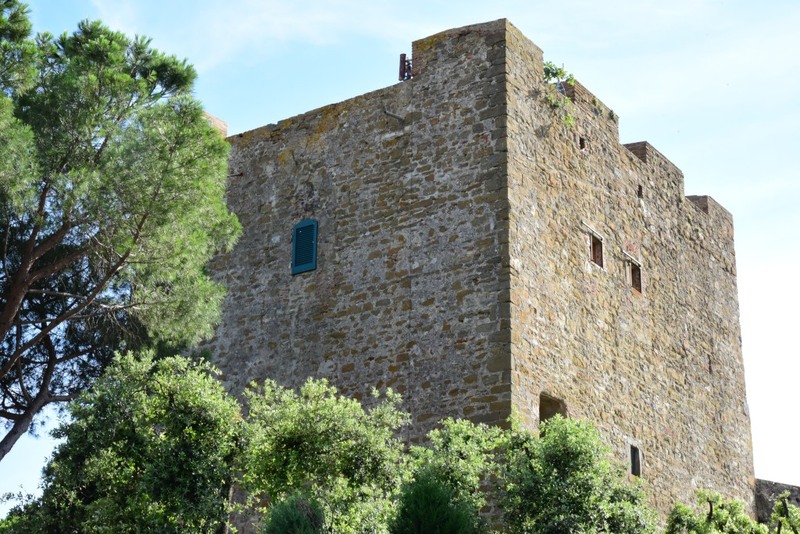 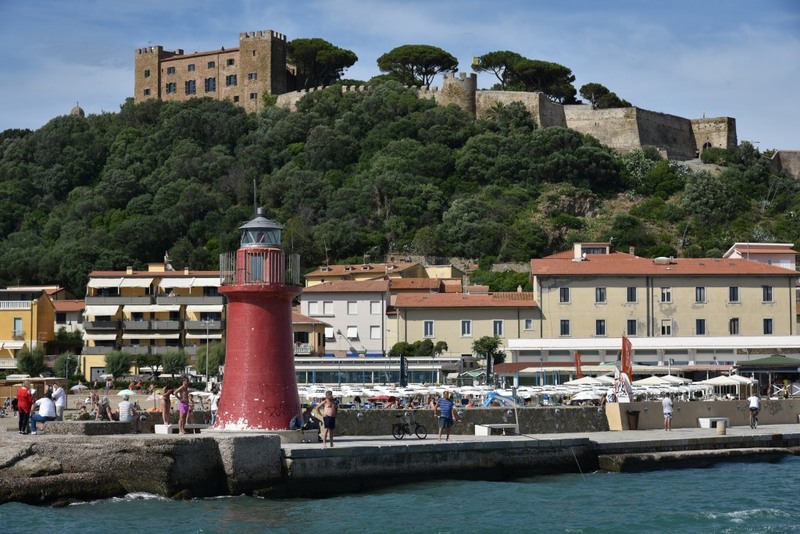 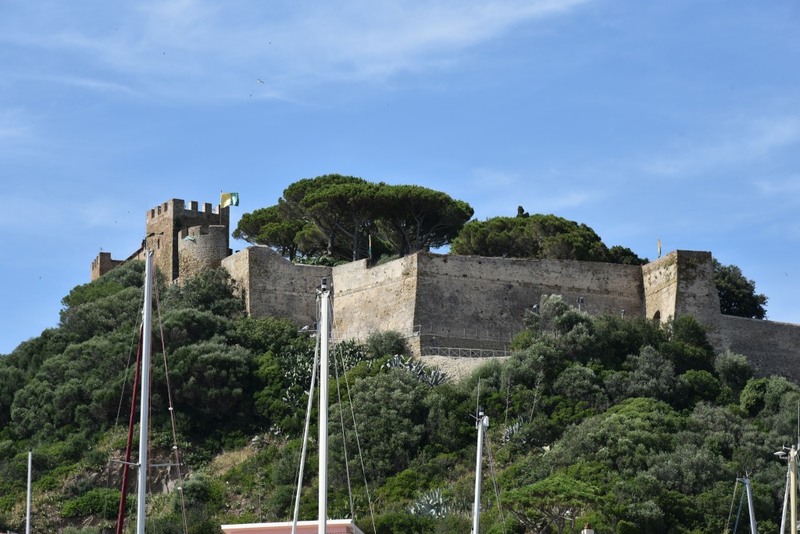 By the 9th century, Castiglione della Pescaia came under the protection of Pisa, and was in turn used as an outpost for the marine defensive locations being established along the coast. 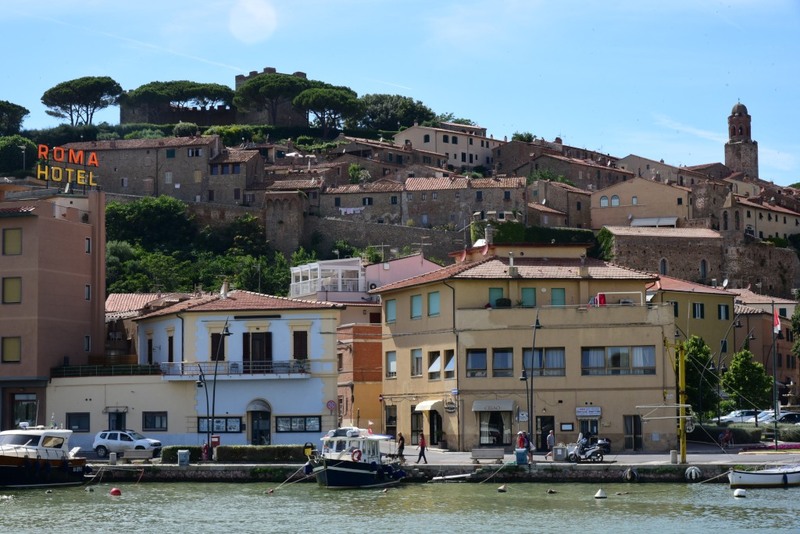 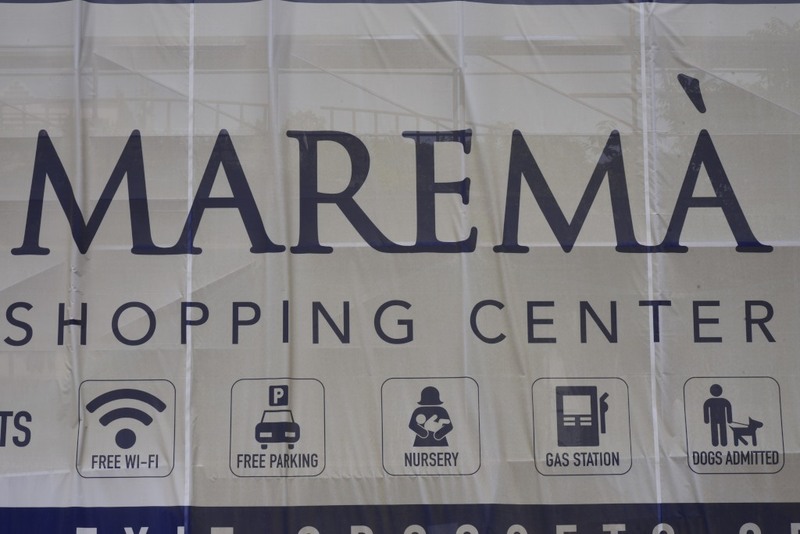 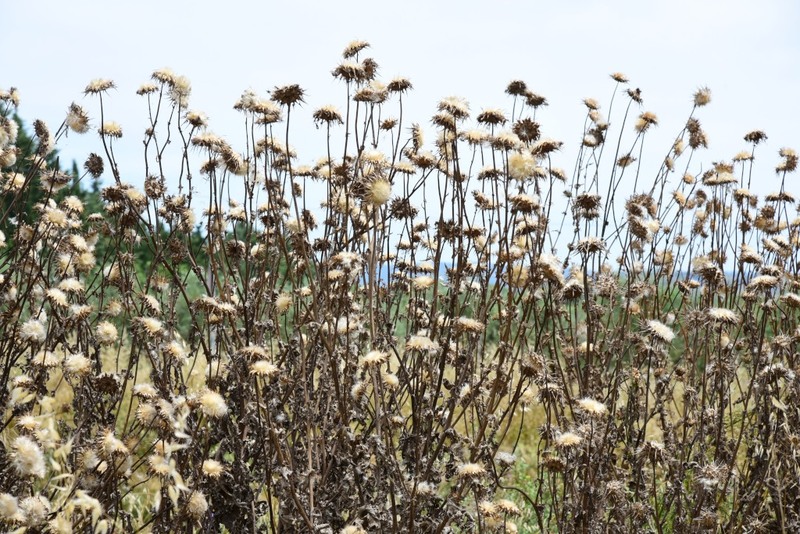 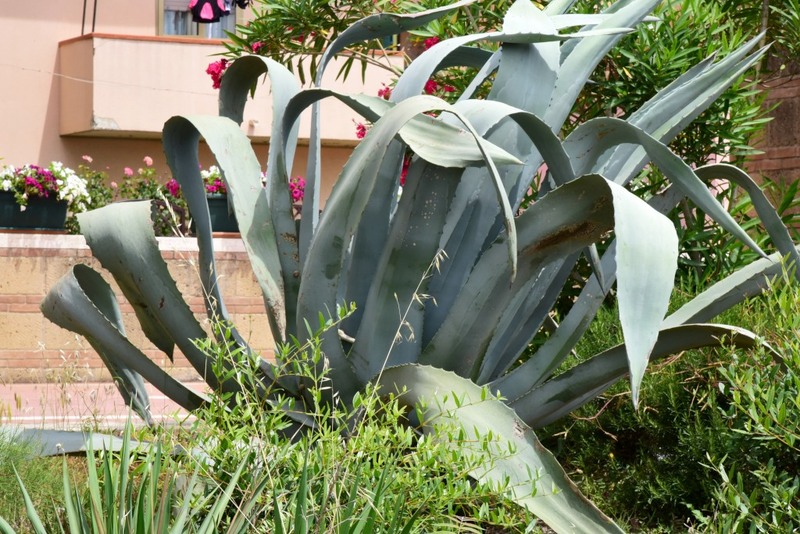 As with much of the Maremma, the town reestablished its viability with the draining of the malarial swamps enshrouding the region.